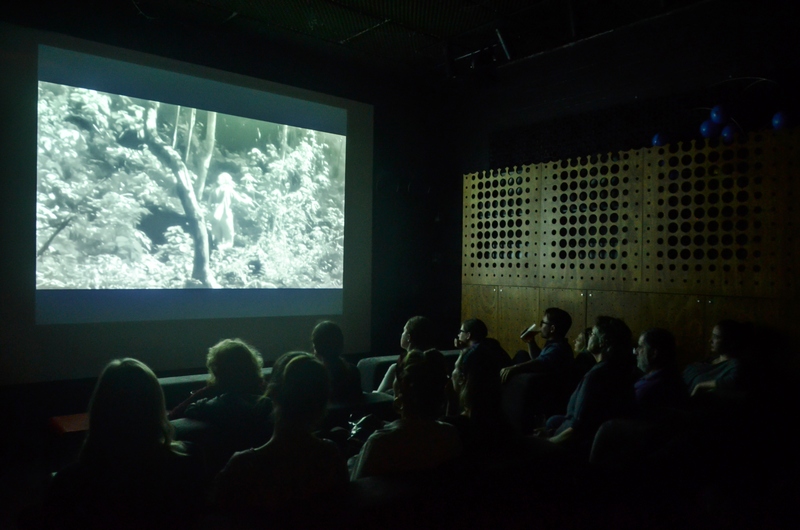 Roots & Shoots Victoria celebrated World Chimpanzee Day with a screening of the National Geographic documentary, Jane at Loop Project Space and Bar in Melbourne. The night started with Michelle Shepherd, Deputy Chair of the Jane Goodall Institute Australia (JGIA) addressing the crowd on the work done by JGIA and Roots & Shoots. 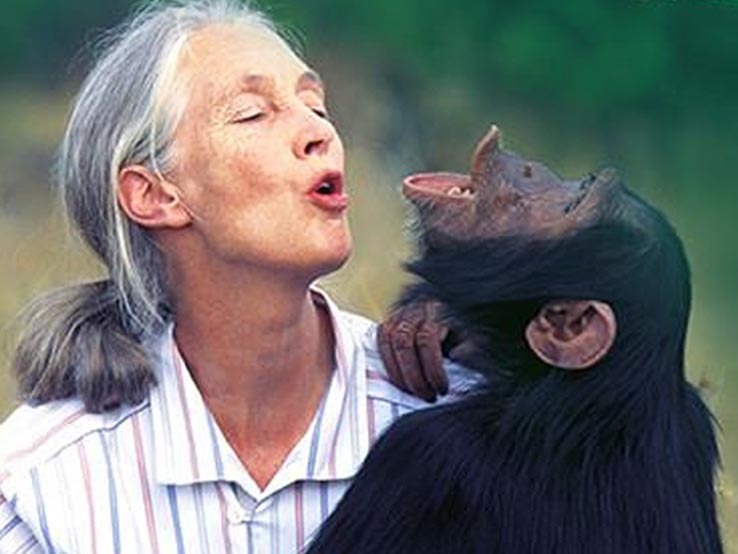 The captivating Oscar Nominated film follows Jane Goodall’s adventurous journey of gaining the trust of wild chimpanzees in what is now Gombe Stream National Park, Tanzania. 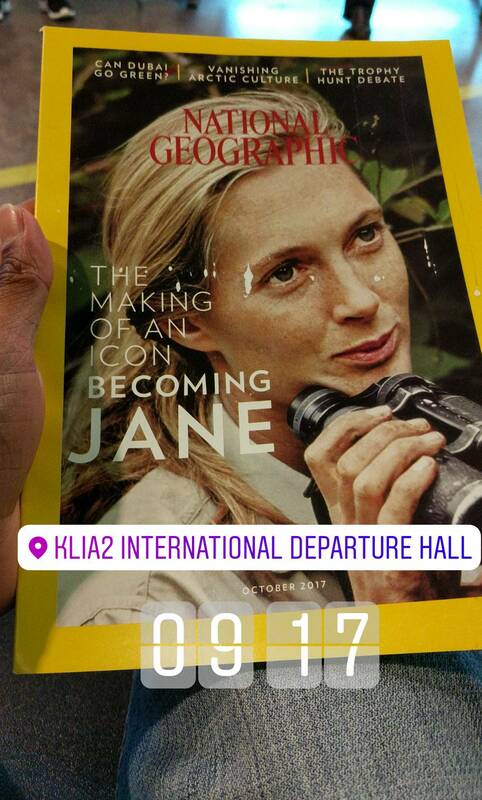 We witnessed her dedication, which allowed her to gain invaluable knowledge of their personalities and interactions, and how her work revolutionised our understanding of this incredible species. Gombe has recently been declared a UNESCO World Heritage Site under the name Gombe Masito Ugalla Biosphere Reserve, recognised for its contribution to community reconciliation and biodiversity conservation. After the screening, the focus of conversations among the crowd shifted to what we could do for the animals within in our own community. It was an inspirational night with a full house at Loop Project Space and Bar. 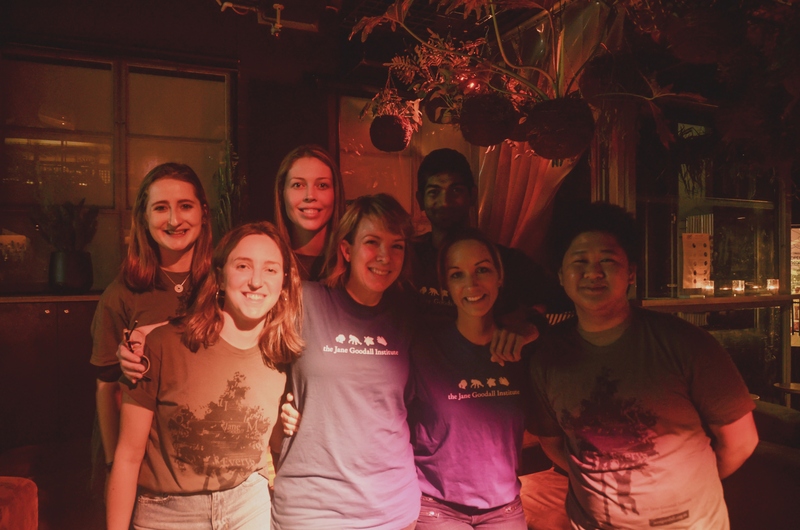 Roots & Shoots Victoria would like to thank our venue Loop Project Space and Bar for being wonderful hosts and for everyone who attended and contributed to our cause by donating towards our work. 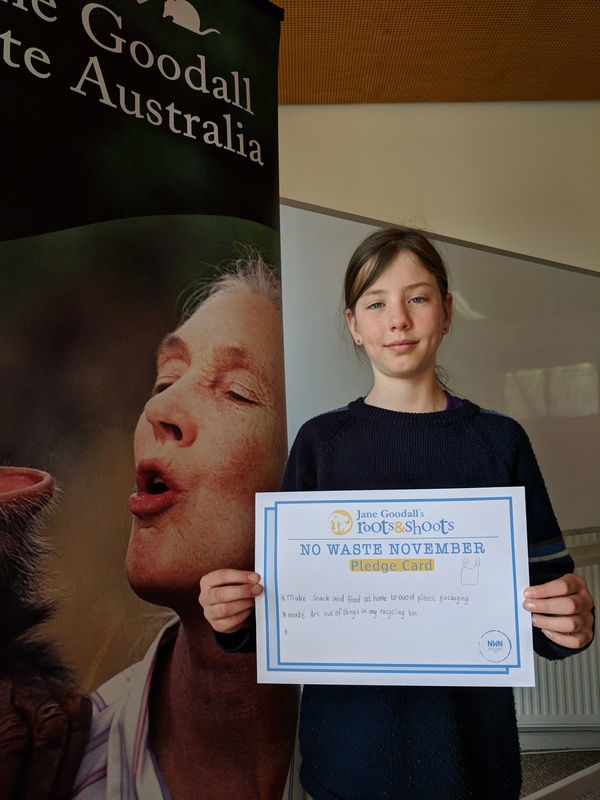 Exactly 60 years after Dr Jane Goodall commenced her thrilling research into wild chimpanzees at Gombe Stream National Park, the very first World Chimpanzee Day was commemorated on the 14th of July, 2018. Not only does this date remind us of Dr Goodall’s passionate dedication to the care and conservation of our closest cousin in the animal kingdom, but equally it raises awareness about the vital need for their worldwide protection in the wild and in captivity. 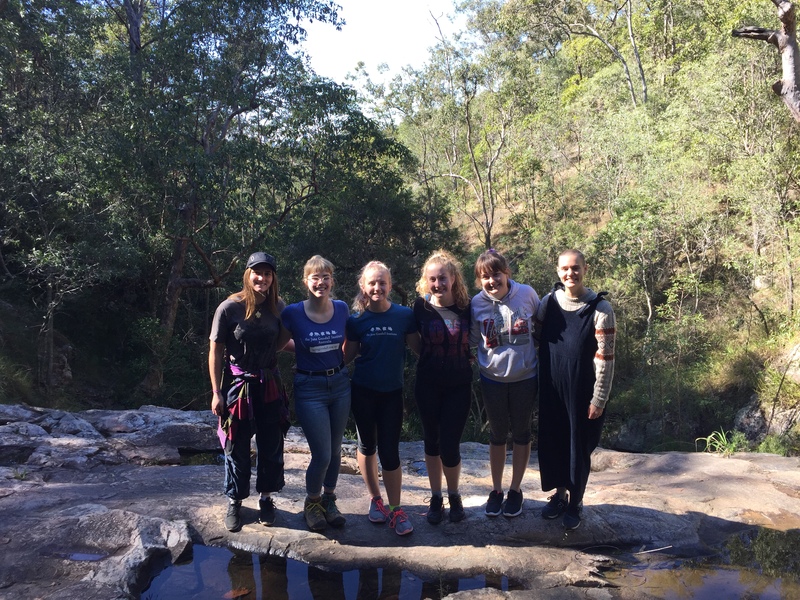 To celebrate this significant occasion, the Brisbane Roots and Shoots Volunteer team embarked on a 3.5km walk in the depths of Mt Cootha. Listening intently to the unique screech of the sulphur-crested cockatoo and soft chirps of many rainbow lorikeets, they attempted to distinguish between the calls of a variety of native birds. The tranquillity of such blissful sounds gave the volunteers a much needed break from the artificial clatter of suburbia and city living. Home-packed plastic free lunches were enjoyed under the shady trees at Grey Gum Picnic Area, in which bamboo cutlery and steel straws were the main points of passionate discussion. The group are very excited to organise similar events in the future and intend on encouraging involvement of like-minded members of the public. Initiatives such as this offer us all opportunities to recognize and appreciate the intrinsic beauty of the natural world, providing us with a humble awareness of the diversity of life that surrounds us in every direction. 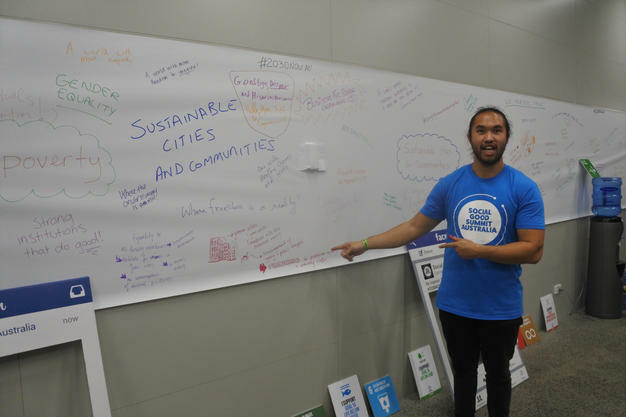 Roots & Shoots attended the 2018 World Environmental Fair held on the 2nd and 3rd of June at the Adelaide Showgrounds. 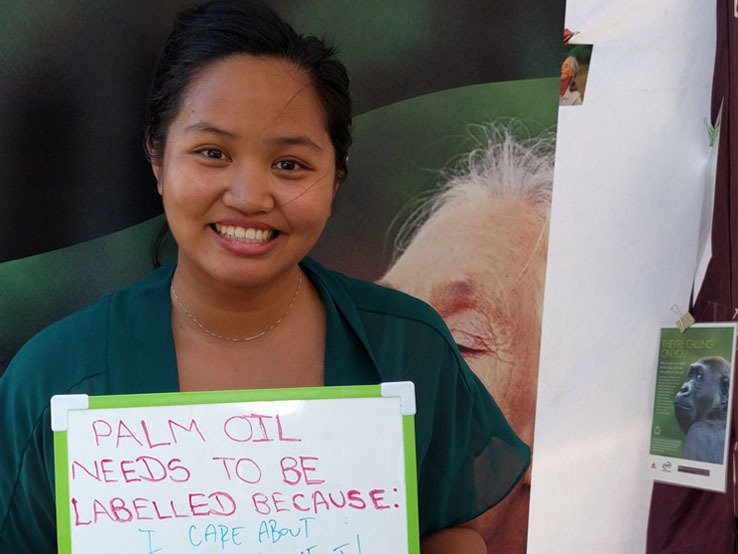 Roots & Shoots volunteers had the opportunity to listen to several inspirational speakers and meet and connect with other organisations all working to create a positive difference for animals, people and the environment. 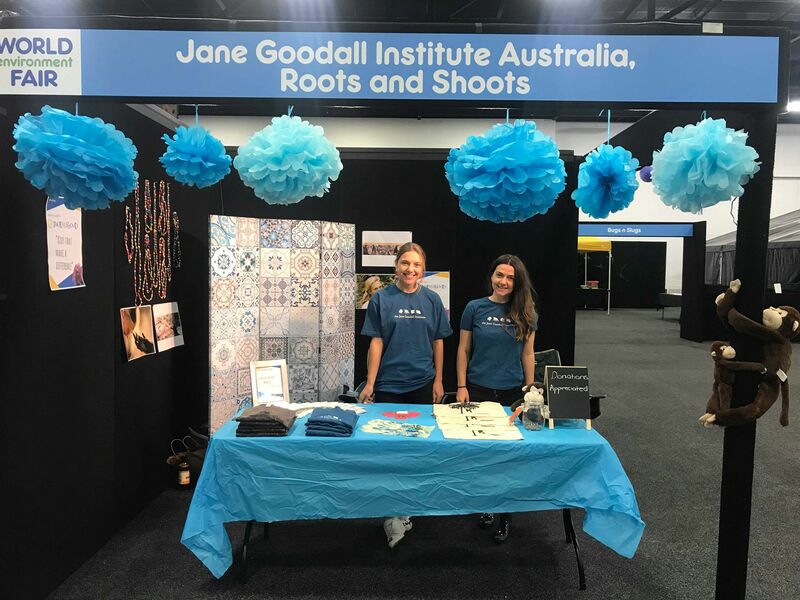 The Roots & Shoots stall attracted a lot of attention and attendees were excited to hear about and get involved with the campaigns we run and also about the ongoing work of Dr. Jane and the Jane Goodall Institute. 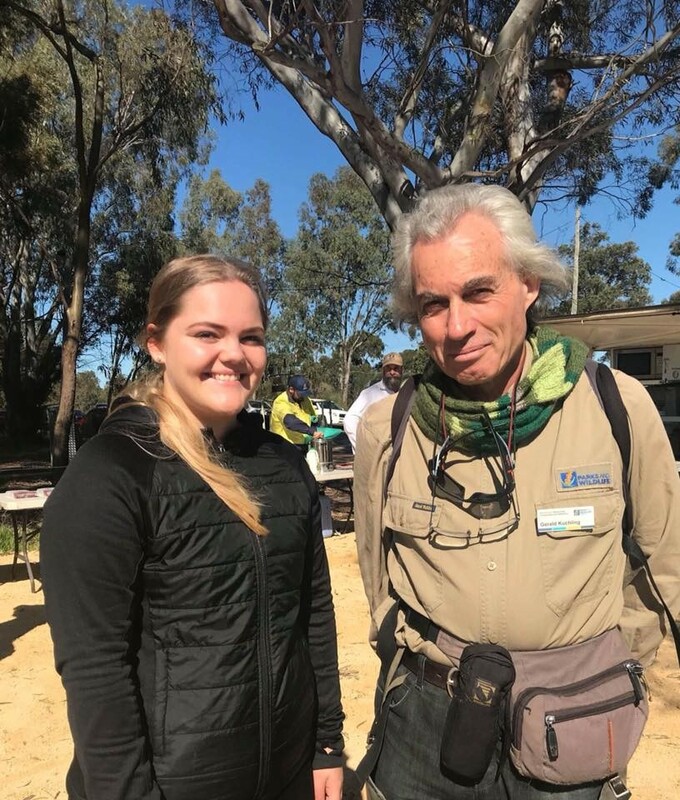 The South Australian Roots & Shoots team would like to thank everyone who visited our stall and we look forward to seeing you at future events! 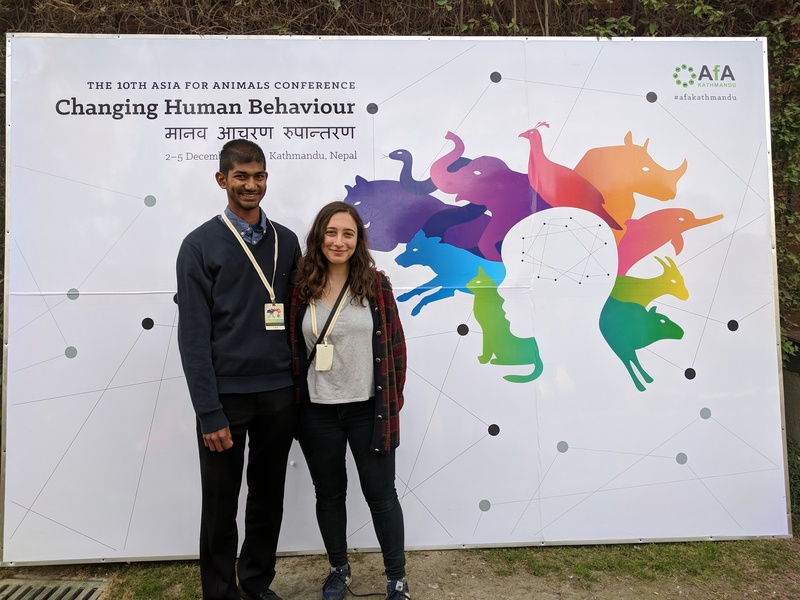 Our National Youth Leaders Alexia and Asitha are in Nepal for the Asia for Animals conference. 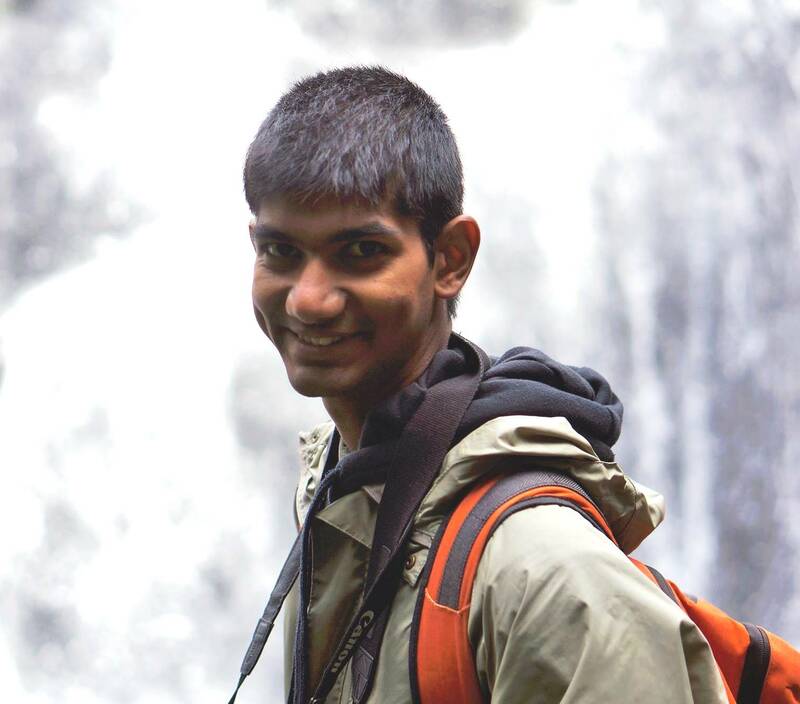 Here, Asitha keeps us up to date with their adventures. 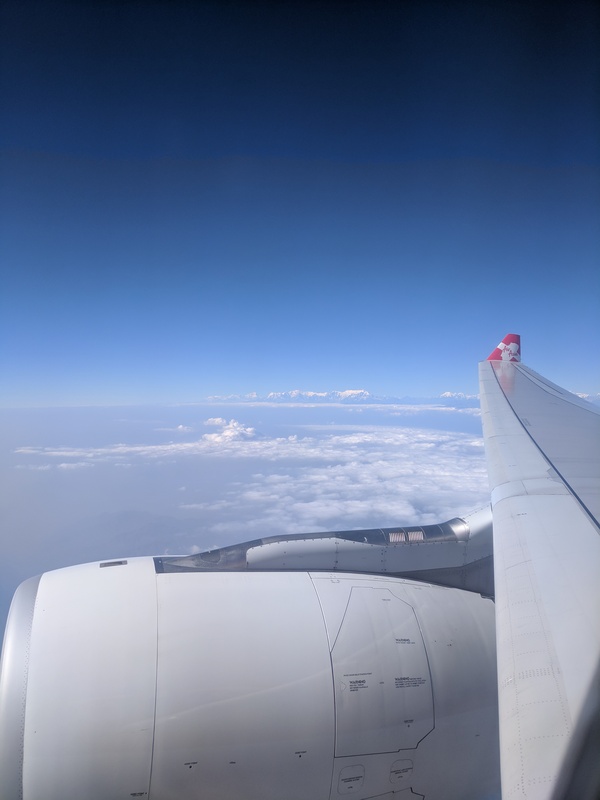 After 23 hours of travel I have finally arrived in Kathmandu. 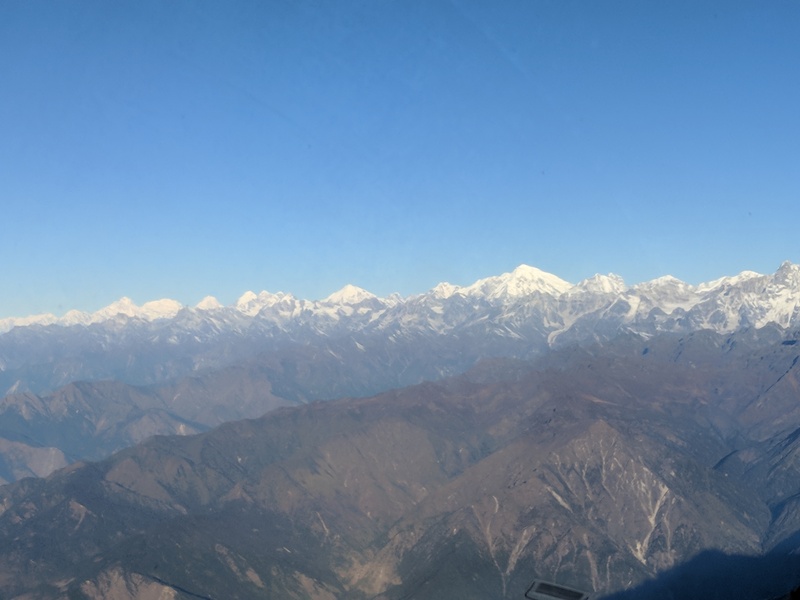 The travel was filled with delays and the only highlight was being able to look out at the Himalayas and Mount Everest on our approach to Kathmandu. 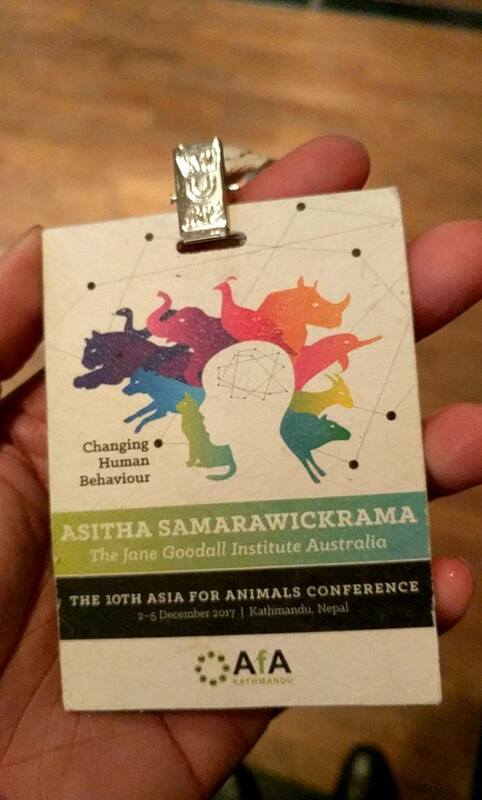 I am in Kathmandu representing the Jane Goodall Institute Australia at the Asia for Animals conference. The organisers of the conference were kind enough to organise an airport shuttle for us to our accommodation, but upon arrival it was clear we weren’t leaving the airport soon. To pass the time we tried to get to know each other as much as we could, and I’m pleased to say that I have already met some very influential individuals, each doing their part to make their corner of the world a better place. After a few stops in the traffic and getting lost in the streets, we finally reached the accommodation! From the little bit of Kathmandu, I have seen from the air and from the shuttle bus, it is similar to many Indian cities, dry, dusty, full of traffic and people everywhere. I am excited to see what this city and country hides. But for now, I am off to find my friend and colleague Alexia and some good Nepali food for dinner! After gobbling a breakfast of roti and vegetable curry we caught the shuttle bus to the conference venue. The first day of the consisted of 2 sessions of workshops and a panel discussion. 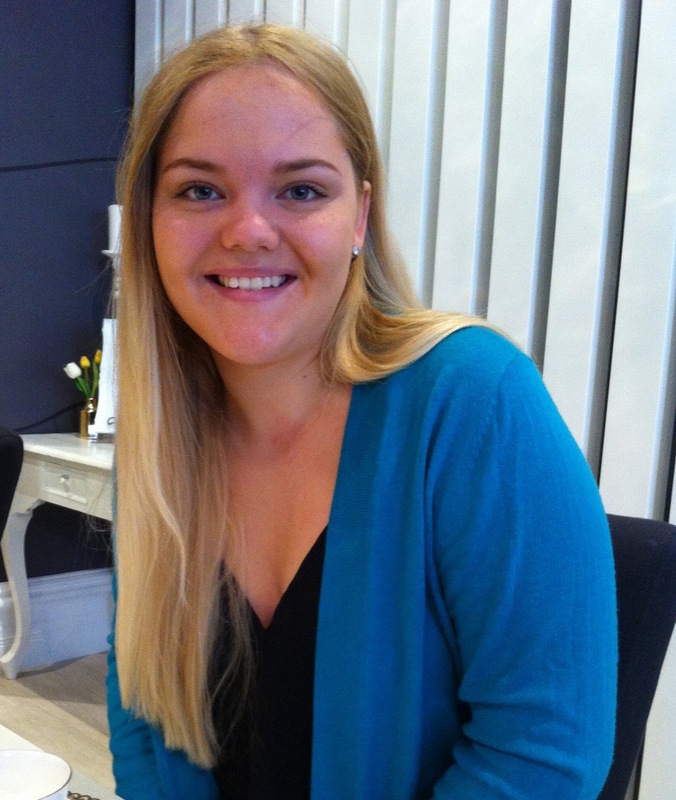 Alexia and I attended a workshop on increasing our social media reach, at the end of which we both agreed that it was time to develop a social media plan for 2018 as we are involved in running some of our social media platforms. After a delectable vegetarian lunch on the sunny lawns, we were back inside for the second workshop session. The workshop was delivered by some members of the RSPCA and focused on increasing animal welfare through education. The session gave us an interactive demonstration of the RSPCA’s education campaigns in China for teachers and children! Midway through the session the presenter made us dress up as trees, flowers, caterpillars and birds and set the scene for a role play. We were in a peaceful park existing in harmony with the bees and butterflies buzzing and fluttering to each flower. I played the the role of a bird flying from trees to tree and Alexia had fun documenting my childishness on video! To make things interesting I decided to be a hungry bird and decided to have eat one of the caterpillars for lunch! The peace is then disrupted by a group of kids who decide to bring their dogs to the park and disrupt the peace. 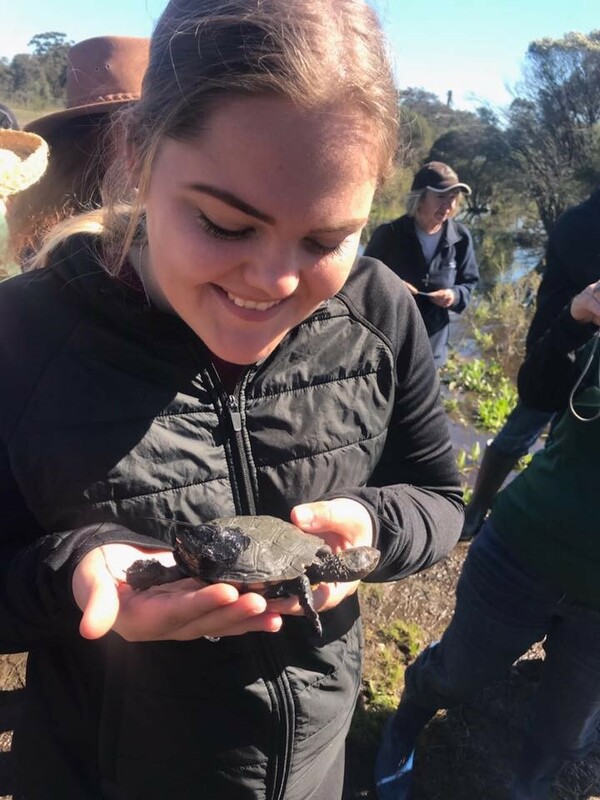 This opened the scene for wildlife officials and parks rangers to step in and teach the kids that nature is something to be treasured and not destroyed. While waiting for the panel discussion to begin I was lucky to bump into Manoj Gautam from the Jane Goodall Institute Nepal and his wife who were instrumental in bringing the Asia for Animals Conference to Nepal. Unfortunately, our meeting was brief, as Manoj had to rush off to carry out another task. The final session of the conference was a panel discussion featuring Manoj, a Buddhist monk and two representatives from IFAW. The panel focused on how domestic animals bring individuals and communities happiness by providing them with identity and empowerment. 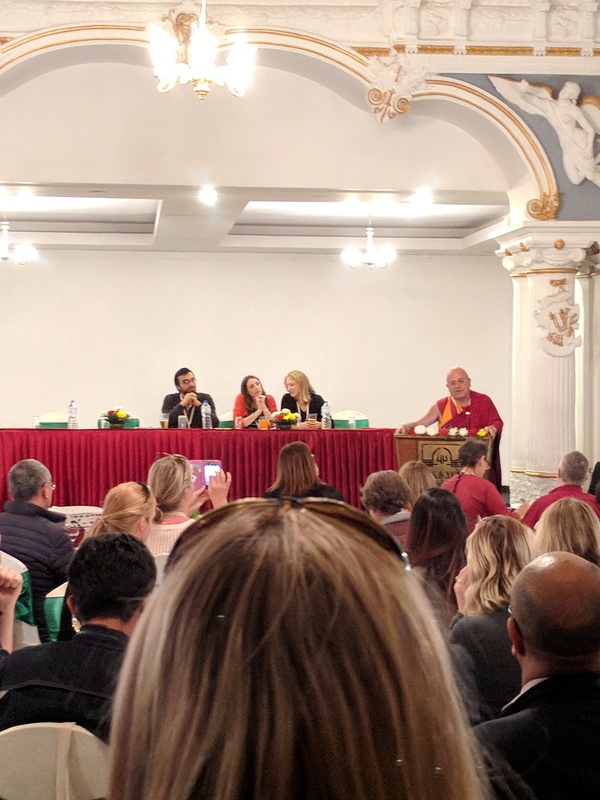 It was a unique opportunity to listen to the wise thoughts of a religious leader along with leaders from animal welfare organisations. We celebrated a good start to the conference by filling up our stomachs at a rooftop restaurant and bar with our colleagues and friends from the Jane Goodall Institute Australia. Though some of the team called it a night, a few of us continued moving from venue to venue, experiencing the local music talent. Eventually we called it a night, well aware that we were in for a big day at the conference tomorrow. The official opening of the 10th Asia for Animals conference took place this morning with traditional dances and singing. 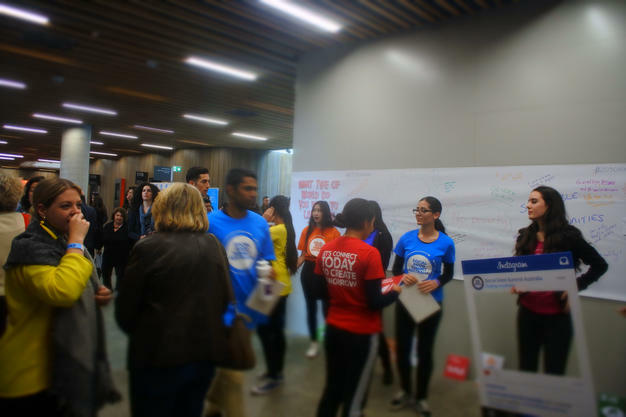 The day consisted of keynote speakers talking about the positive change they have brought about to their communities. 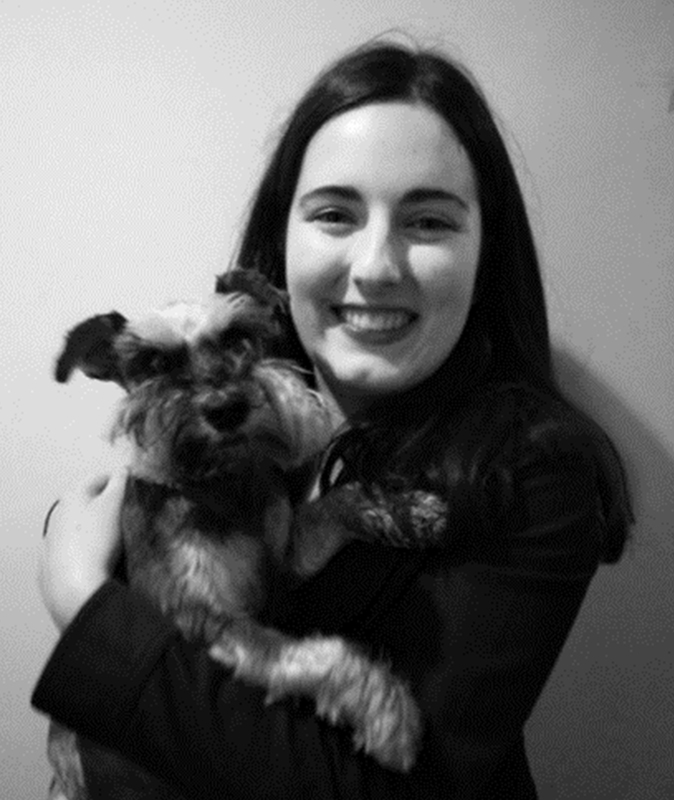 The most popular keynote was presented by a lawyer, whose work involved granting non-human animals with legal rights. His address was so inspiring that he also managed to convince the organisers for questions at the end, although he had spoken for an entire hour! The culinary highlight of the day was the fact that Nikki Botha, the popular vegan chef had travelled all the way from South Africa to prepare the day’s meals! At the end of a tiring, but very productive day, all the participants gathered on the lawn to eat, drink and dance. We were treated to traditional Nepali rice wine (Ella), which tasted a lot like vodka in a claypot. And then the real festivities began. 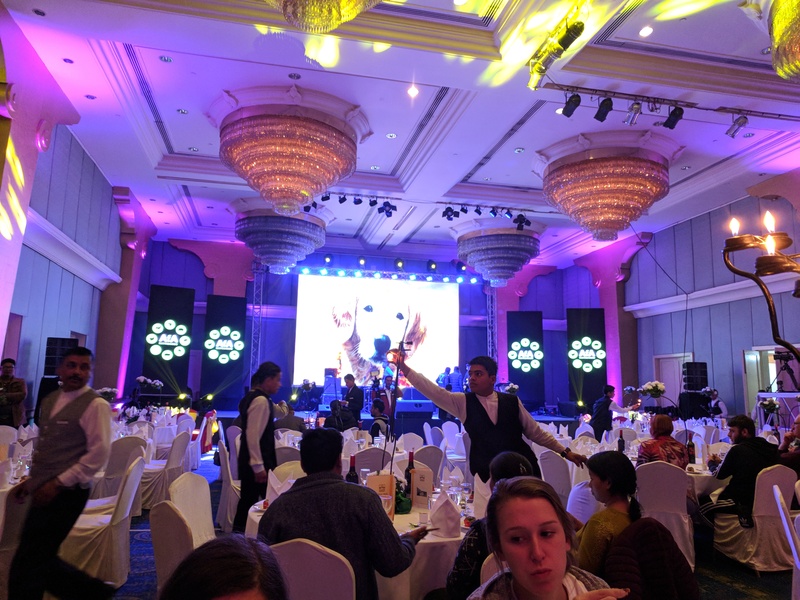 The traditional Nepali band Kutumba lured the participants to the dance floor with their music and once a few of us were on the floor the herd instinct kicked in and in minutes we were all dancing and clapping like no-one was watching. 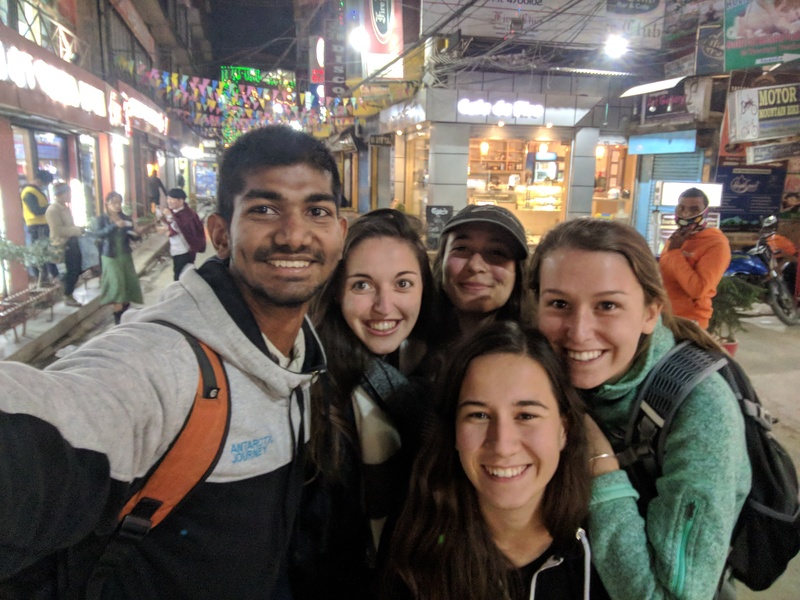 In between the dancing we were treated to traditional Nepali dishes including momo’s (steamed vegetarian dumplings), by far our culinary favourite of the trip so far! The stage is set for dancing! On our walk back to the guesthouse we were followed by a cute Nepali stray dog, which pulled our hearts as he wagged his tail and lapped up our attention! Day three of the Asia for Animals conference! It started by meaning to wake up early, write my blog yesterday and make use of the WiFi at my accommodation and upload it as well. However, sleeping in can be one of my weaknesses and that’s exactly what happened! I woke up just in time for a quick shower, gobbled my breakfast and rushed to the conference venue with Alexia repeatedly asking me to walk slowly! At the venue, the presentations were divided into sections, Animals for Work, Animals as Companions and Animals for Trade. If there was ever a time I wished I could be in more than one place at the same time, this was it. 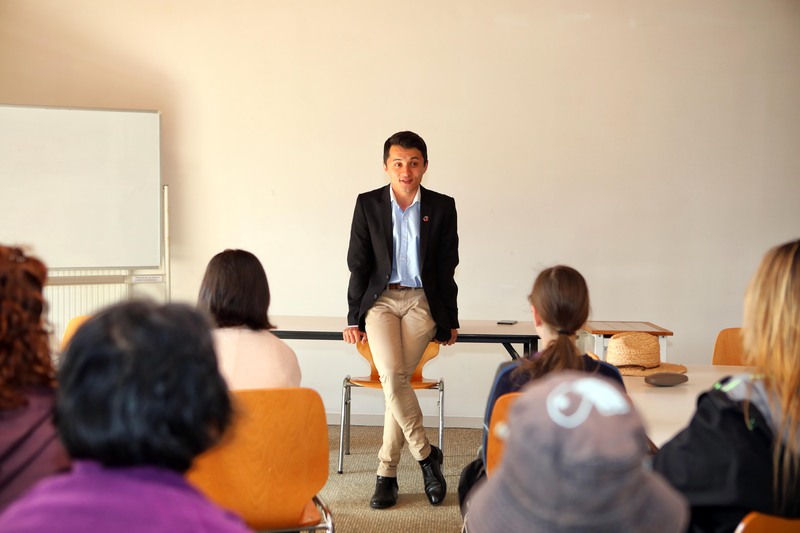 I decided to attend the talks on Animals for Trade, which focused on a topic that I was especially passionate about. The illegal trade in wildlife and wildlife products. 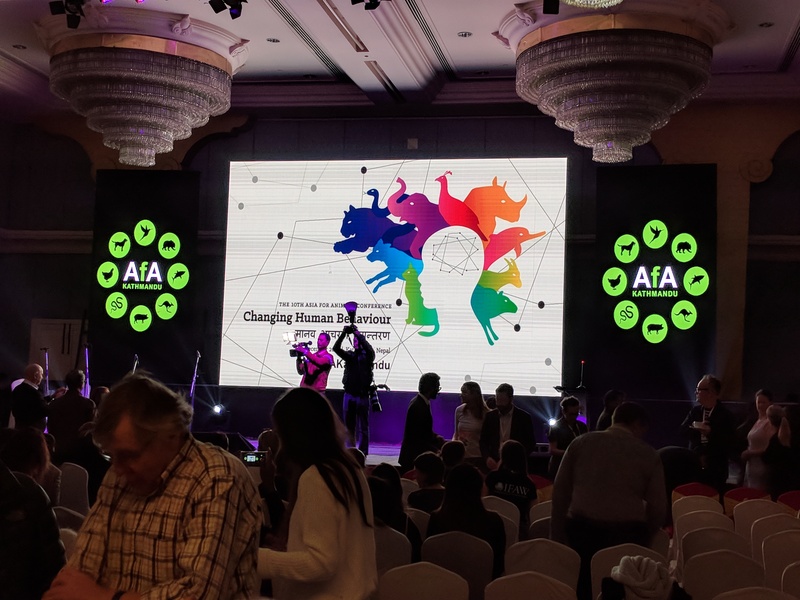 The speakers were from organisations all over Asia trying to tackle the illegal trade in pangolins, ivory, rhino horn, loris, bear bile and many more. To put the illegal wildlife trade into perspective, it is the 4th highest earning black market, coming in after arms, drugs and human trafficking. According to TRAFFIC an organisation that monitors illegal trade in wildlife, illegal wildlife trade generates around USD 7.8-10 billion each year. For comparison, the global trade value of tea, coffee and all spices USD 24.3 billion. It is no wonder that we continue to lose an elephant every 15 minutes for its ivory and a rhino every 8 hours for its horn, used in traditional Chinese medicine. 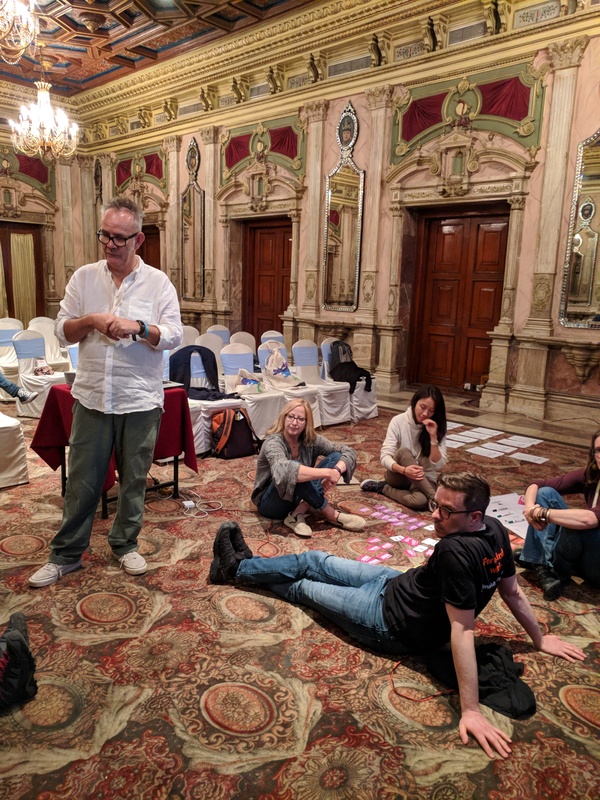 The evening session’s highlight was a workshop run by Mark Earls, which we were lucky to be able to attend. Mark is a renowned marketing consultant and his workshop was named Copy, Copy, Copy based on research that humans copy others when acting. 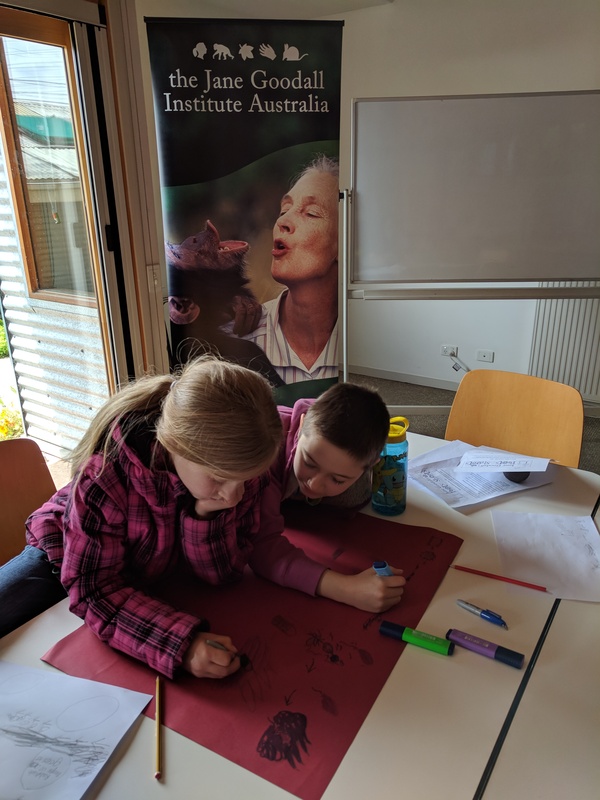 He used this research to assist our method of thinking which would definitely be helpful when creating campaigns for Roots & Shoots and the Jane Goodall Institute Australia. 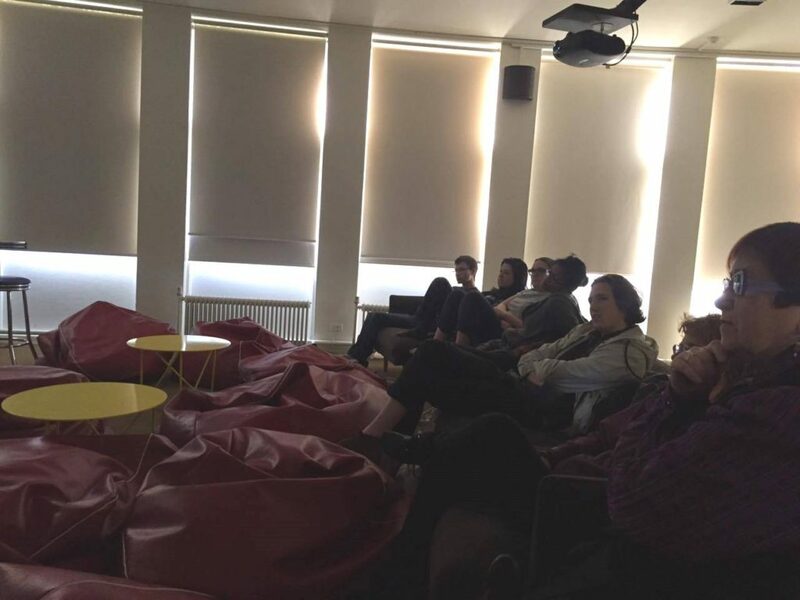 The last session for the evening were documentary screenings. We decided to attend a screening called ‘Blood Lions’, which exposed the canned hunting industry in Africa. Canned hunting is a cruel sport where animals are shot at within a confined space and therefore cannot escape. Of late, awareness among the public has increased about such practices and several governments have banned the bringing in hunting trophies to their respective countries. We capped off the evening with dinner at the same rooftop restaurant we visited a few nights ago with some new friends we met at the conference. It was hard to imagine that the next day was to be the last day of the 10th Asia for Animals conference. Time had flown so fast, but we were determined to make the most of our last day. The last day of the conference has dawned. 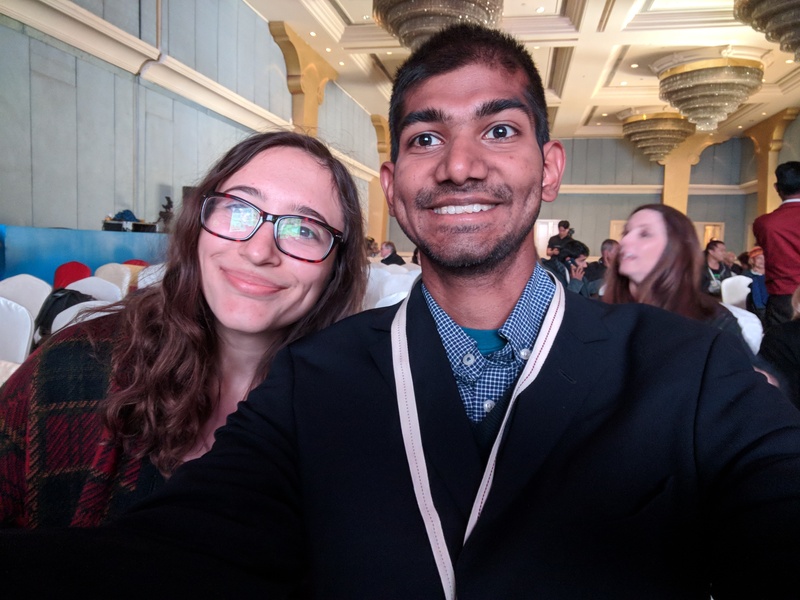 Alexia and I are extremely happy that we were given the opportunity to attend this conference and hear from and meet so many inspirational individuals doing their part to create a better planet for animals, people and the environment. Today’s sessions also featured a presentation from one of our former colleagues and friend Nicky Kim McCormack who spoke on how digital technology can be used to increase Great Ape welfare and conservation awareness. My plan for the rest of the evening was to continue the party in Kathmandu’s numerous clubs. 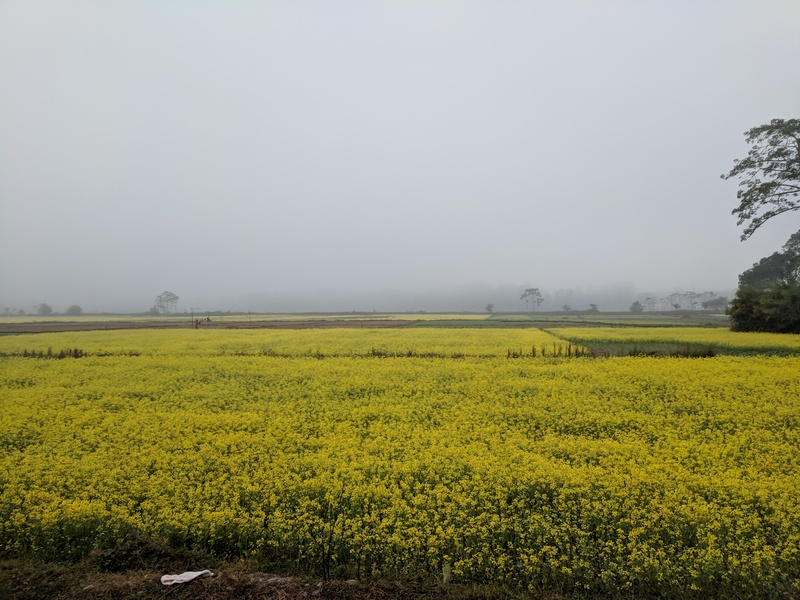 Since we had to leave for Chitwan National Park at 6 am, I decided that I wouldn’t sleep, and instead fall asleep during the 6 hour bus ride instead. The plan went almost to perfection, one hour of sleep before I was up again ready to leave to Chitwan. Functioning on one hour of sleep and trying to be the responsible adult proved to be tough. I had to drag Alexia out of bed and force her to get ready, only for her to fall asleep when I left her room to get ready myself. A quick phone call to Nicky revealed that she too had slept in and my call had woken her up. By now it was getting close to the time we were meant to catch the bus to Chitwan. We hurriedly rushed next door to find Nicky, but to no avail. We left to catch the shuttle to Chitwan without her, but luckily she was on a taxi to the shuttle pick up point. The bus ride was long and bouncy. On several occasions we bounced out of our seats and landed back on the seat, on a road which had more potholes than asphalt! Chitwan National Park is only about 160 km from Kathmandu but the ride took us nearly seven hours! On our arrival, we were greeted by staff at the Tiger Tops resort and greeted with a traditional welcome. We would be staying with a local family, who housed us and cooked us our meals. They couldn’t speak English and we couldn’t speak Nepali, but gestures helped in communication. That evening we visited the Elephant camp at the Tiger Tops resort. These elephants had been freed from their chains three years ago and are now not used for riding. Instead they live in chain-free enclosures and are used for walks inside the buffer zone forest. Tiger tops has come a long way with their elephants, but there is much work to be done. One hopes that in future there will be no reason to have a captive elephant population for tourism purposes not just in Nepal but in all of Asia. After a tour of the elephant camp, the local villagers treated us to a stunning cultural show with singing and dancing. 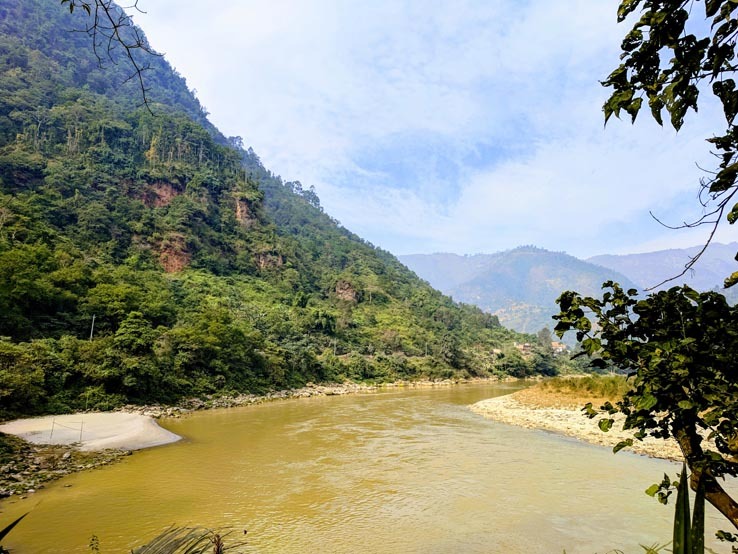 We gathered around the fire and marvelled at the rich culture of this land, hoping that tomorrow would bring us close to the one-horned rhinoceros, a major reason many of us had endured the bus ride to Chitwan. Gathering around the fire socialising after a long bus ride! Early morning in the village that borders Chitwan National Park. It’s misty and I can only see about 400 metres ahead of me. After an early breakfast, we are ready for our elephant walk in the buffer zone forest. This area is home to about 35 rhino and 10 tigers. 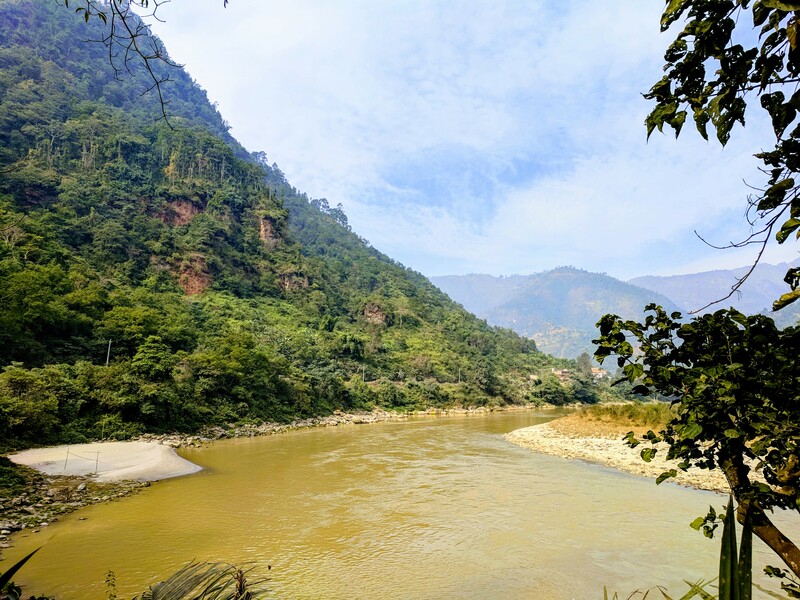 We crossed the river where locals wash their clothes and bathe and waited for the rundown of our tour. We were invited to walk alongside or behind the elephants as they lead us through the forest. After about 20 minutes of walking in the thick jungle we arrived at an open area and our guide stops and asked us to be very quiet. 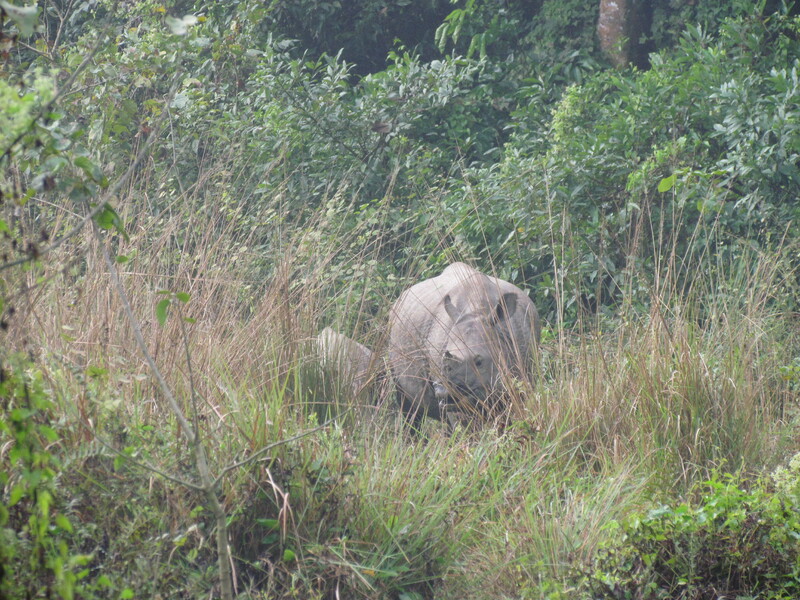 Rhinos are in the area. I look around and spot a mother with her baby grazing about 50 metres away from us. My first rhinos in the wild! It was such an amazing experience as we watch them at ease with our presence. We watched the mother and calf for a while before moving on to see if we can find any other animals. We come across a pile of rhinoceros poo and learn that rhinos use latrine sites to communicate with other rhinos in the area. It’s unfortunate and disappointing to find a plastic wrapper in some of the poo. It is not difficult to understand that the rhino had eaten this plastic and it had completely passed through its gut and returned to the earth. Our human footprint is everywhere, on the highest peaks and deepest oceans. Protected area or not, our rubbish finds its way into every single ecosystem and environment on the planet and will outlive all of us. Isn’t it time that we thought about the consequences of throwing our rubbish into our environment instead of disposing of it thoughtfully? It was recently found that plastic particles are found in the drinking water in over 30 countries. What goes around comes around, and our dirty habits are coming back to bite us. 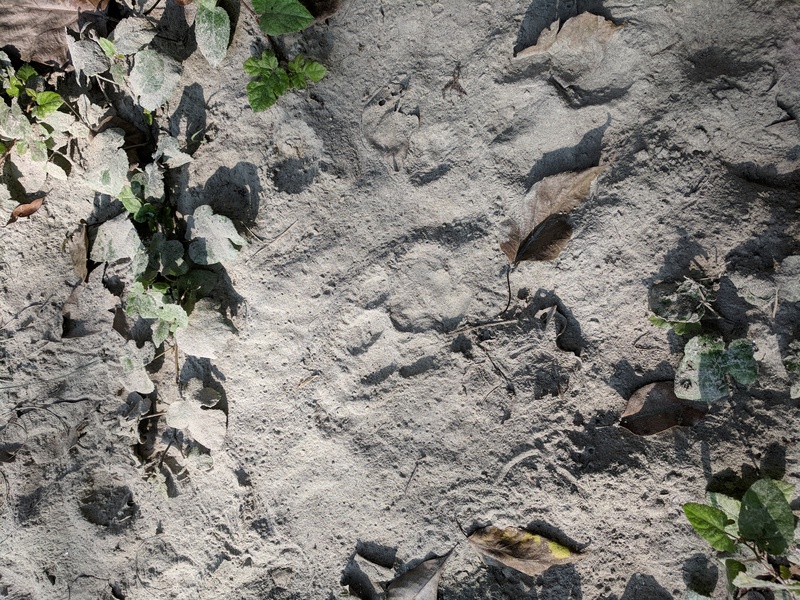 After leaving the rhino we follow fresh tiger prints from the night before from the forest into some tall grasslands. The tall grass could easily hide a tiger and we wouldn’t know it. Although there could be a tiger hiding in the grass looking at us while we remain oblivious, I am completely at ease. This is my element. It is not often you get to walk in the bush which is home to big predators and I am loving it. For some reason I feel completely safe! The rest of the walk doesn’t reveal any mammals but the birdlife on display is stunning. Colourful parakeets, nuthatches, kingfishers, storks, woodpeckers are just some of the impressive birdlife we manage to spot. After around two hours we arrive back at the river and wait for our jeep to pick us up and drop us home. Lunch is another traditional rice and curry vegetarian dish cooked to perfection by our host family. After a short rest, it is off to the river again for our evening jeep safari. Although we cover more ground on the jeep, it is blazing hot and no animals are out. The only mammal we find is a barking deer, a small deer species. 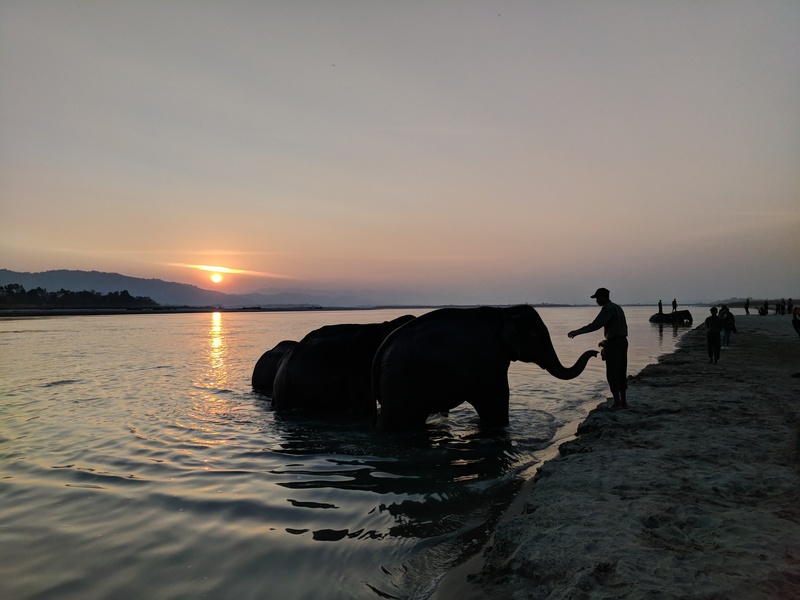 We head to a river bank to watch the sun set behind the mountains as mahouts bring their elephants for some play to the water after the days work. 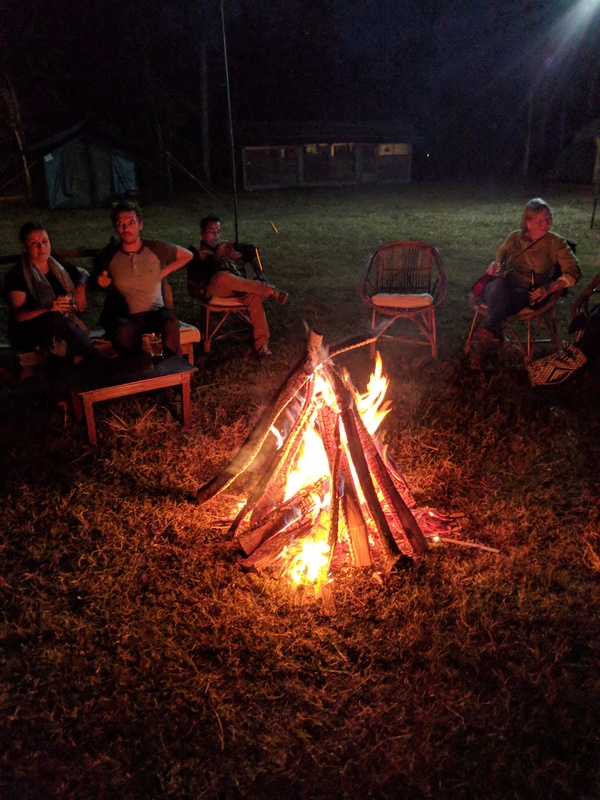 We arrive back at elephant camp early to relax and spend some time by the fire. I decide to call it an early night as we need to leave Chitwan at 0645h for another long drive back to Kathmandu. Sunset on the river. Beyond the mountains is India. Staying at the homestay has been a great experience, even when I nearly crawl into bed the previous night, only to find a mouse who has made itself comfortable in the sheets! I stuff my belongings into my suitcase to ensure he doesn’t crawl into anything else. I leave the bed to him and use the extra bed in Alexia’s room instead. By morning it is gone. We wake up early for breakfast while it is still misty and leave Chitwan by around 0700h. The bus ride home is a torturous 10 hours, bouncing in and out of the potholes. I have no music to listen to and my eyes don’t stay still enough to read amid the bouncing so instead I stare out of the window at the buses and trucks that come extremely close to our bus. A truck hits us, but we continue as if nothing happened. 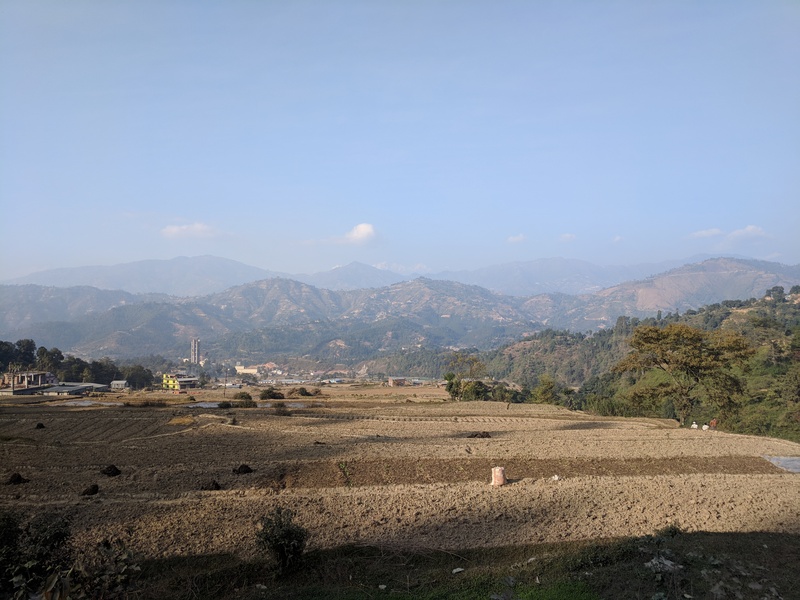 There is so much traffic closer to Kathmandu that sometimes the bus driver shuts off the engine for around 10 minutes before we start moving again. After arriving at Kathmandu, we make our way to our accommodation and make plans for the evening. We agree that we would like to eat something other than rice and curry. The hotel staff recommend a restaurant called ‘The Ship,’ five minutes walk from where we are staying. The restaurant is next to a karaoke bar, which has been something I’ve been wanting to do for a while on this trip and we decide that we’ll make our way there after dinner. However, the karaoke machines aren’t working and we are directed to a North Korean karaoke bar instead. Our friend Nicky from South Korea, immediately recognises the North Korean accent of the workers. We also notice a man, sitting by himself at a table, but I don’t take much notice of it. We are also not allowed to take any photographs while we are there. After one hour of singing (or trying to sing) we decide to make it back to our hotel. My last full day in Kathmandu and I’m determined to make the most of it. I have decided that I want to visit a few temples. We are also meeting two friends who we met at the AFA conference for lunch and some sightseeing in the afternoon. 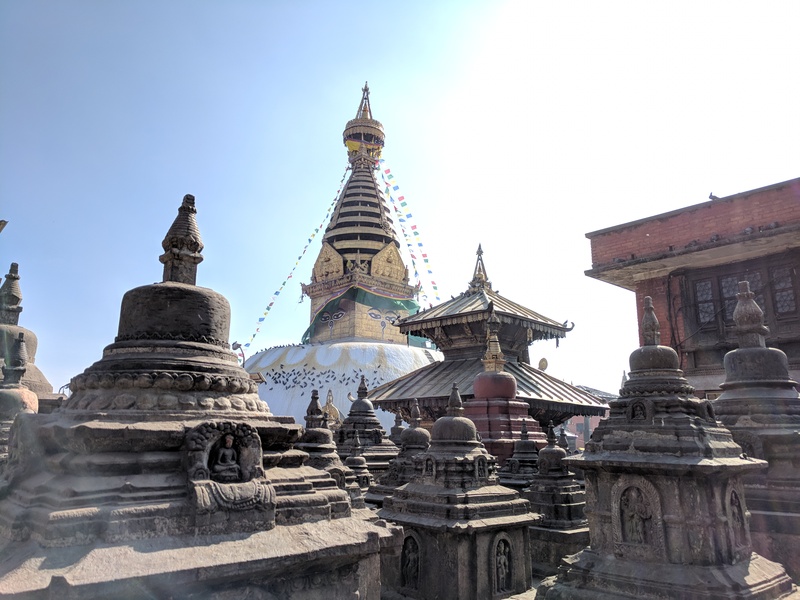 Out first sightseeing stop is Swayambhunath Stupa, a Buddhist temple overlooking Kathmandu. We are greeted by a steep staircase leading to the temple and several macaques and the babies. Two black kites perch on a tree right next to the stairway. The climb isn’t as bad as expected, and soon we are at the stupa. It is crowded with devotees and tourists. I also didn’t expect to find shops and restaurants around the stupa, something I have never seen at a religious venue previously. The stupa is beautiful and the views from the top stunning. We make it back in perfect time to meet Laura and Lyla, our friends from the conference. They also have a friend Charlotte, visiting them from the UK. Each of us represent a different nationality, the USA, UK, France, Australia and Sri Lanka! We have lunch at a restaurant called the ‘cat cafe’ due to the fact that our friends had seen a cat there when they had visited previously. The cat cafe was the best non-conference meal I had during this trip. 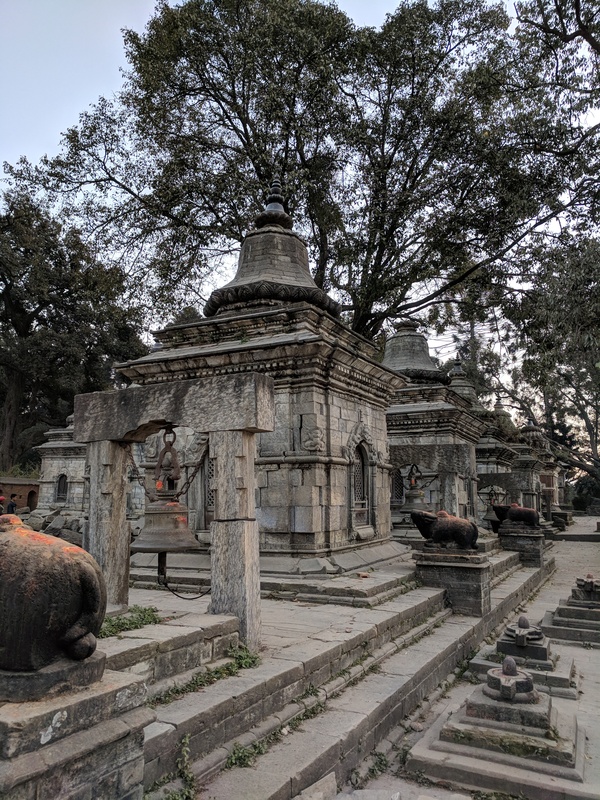 With our bellies full we decided to digest our meal by walking about 30 minutes to the World Heritage Site, Pashupatinath Hindu Temple, where members of the public can watch bodies being cremated next to the Bagmati river. It is indeed a surreal experience and one I didn’t expect to see. The bodies are cleansed next to the river, wrapped in orange and white cloth with only the head remaining uncovered. The body is then placed on a platform made of logs and lit with a torch. Hindus believe that once the entire body has turned into ashes, the spirit can rise and take up a new life in a different body. We spend a few more minutes watching the body burn but are respectful and refrain from taking any photographs. We explore another part of the temple which has some stunning, ancient stone architecture. It is getting close to dark but since we are close to Boudhanath Stupa, a World Heritage Site Buddhist temple we decide that we should visit it too. Once again, the temple premises are like a mini town, with shops and restaurants and cafes alongside the temple. We walk around the stupa, which is beautifully lit at night. It seems like a good time to visit as it is not very crowded. After walking around the temple we make our way to a cafe overlooking the temple. The view is stunning and it’s nice to take a break and sit and talk after all the walking. Dinner is back in Thamel, and we are joined by another friend, Alex who works at the Donkey Sanctuary, an organisation working to secure a better future for donkeys and their owners. After dinner there are many goodbyes to be said. It is always difficult to say goodbye, but we are lucky to be living in a world where we can speak to someone who is miles away a touch of a few buttons. We agree to keep in touch and contact each other and go on our own separate ways to our accommodation. It’s my final day in Kathmandu but it starts very early with a trip to the airport. We have booked ourselves a scenic flight over Mount Everest. 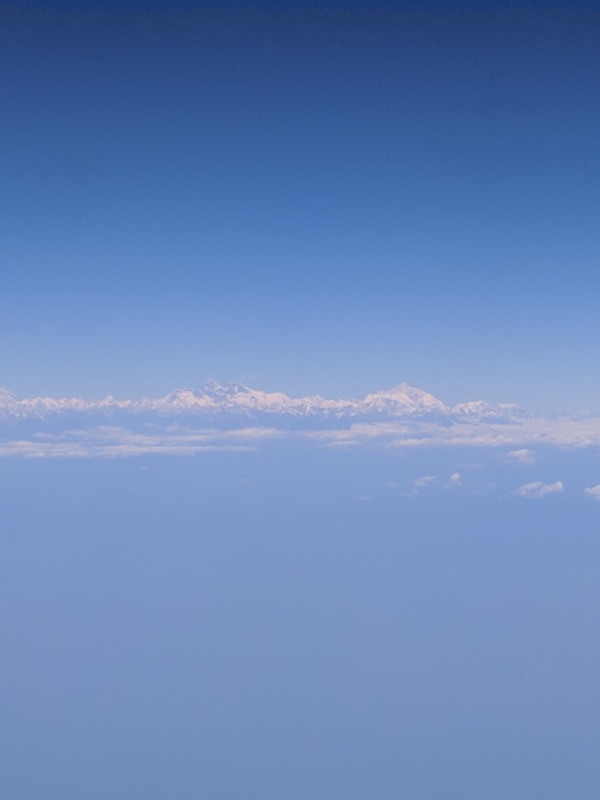 Soon we are flying high next to the Himalayas with glaciers and mountains below us. All the passengers have the opportunity to visit the cockpit, and the pilot points out each of the mountains. 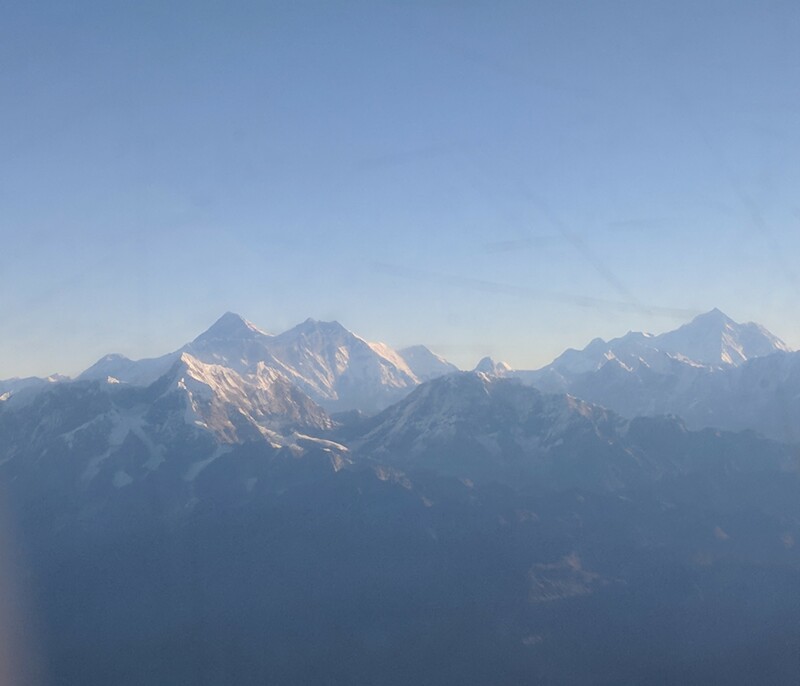 It is my second view of Mount Everest on this trip and it is truly stunning. 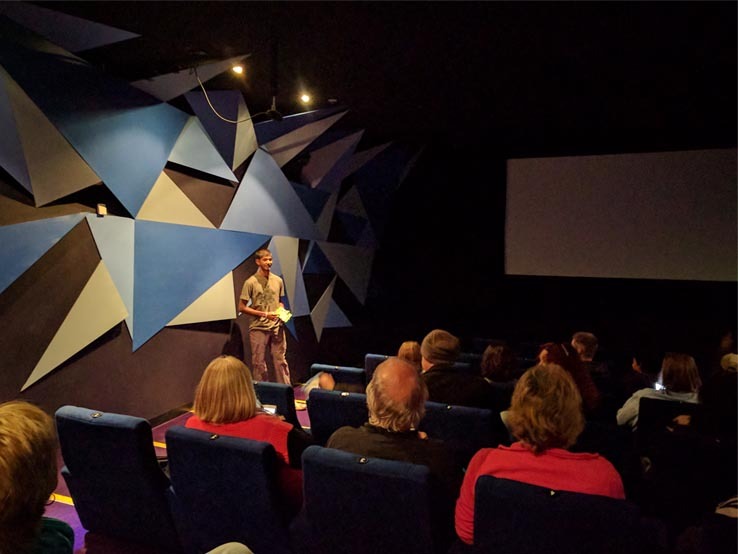 It brings back memories of the documentary Sherpa, which provides us with an insight to the lives of the Sherpa’s who live in villages on the foothills of the Himalayas, and risk life and limb to take Westerners up Mount Everest. Back on the ground, we are presented with a certificate to show that we were on the flight to Mount Everest. Back at the hotel, after breakfast it is time to pack up and leave for the airport. It is the end of an amazing trip where I have met and listened to some really inspiring individuals. 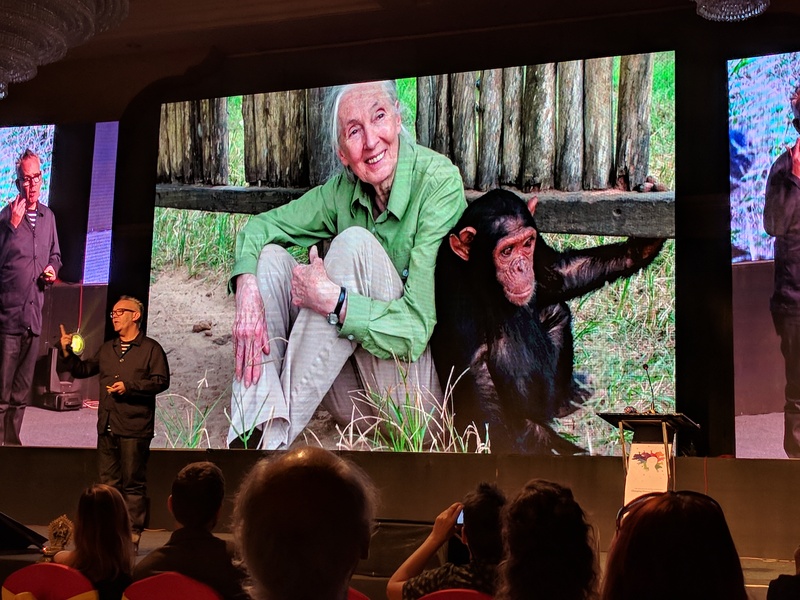 I am grateful to the Jane Goodall Institute Australia for giving me the opportunity to attend the Asia for Animals conference and I intend to incorporate the knowledge I have gained at the conference to create positive change in my work in Australia. 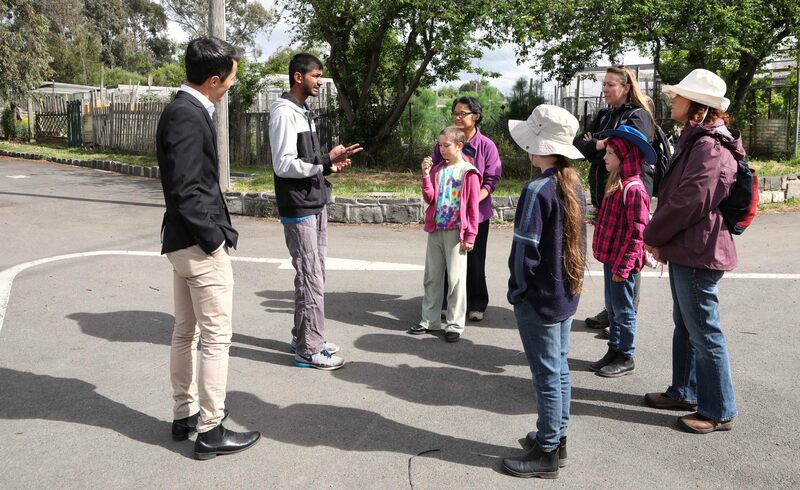 Asitha Samarawickrama is a National Youth Leader at Jane Goodall’s Roots & Shoots Australia. He works as a ranger in Victoria and spends his spare time birdwatching, hiking and playing sport. You can follow his adventures here. All images used in this article are the property of the owner and are copyright protected. They can only be reproduced with the owner’s permission. 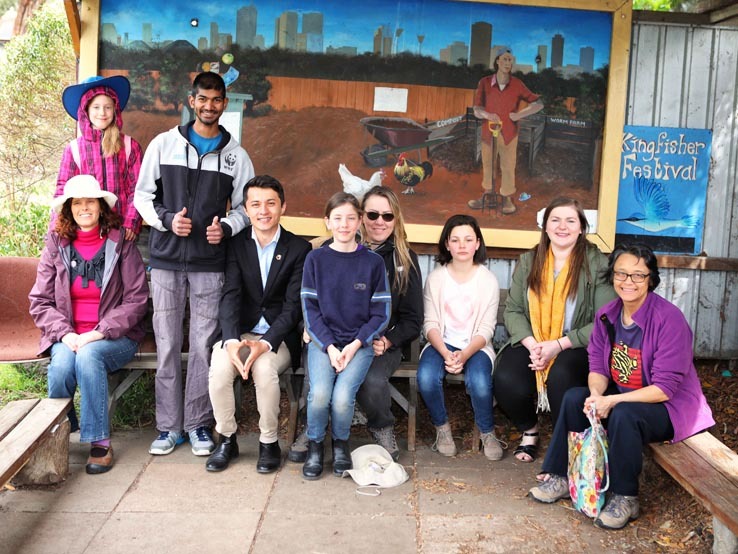 Roots & Shoots members in Victoria participated at the Roots & Shoots Activity Day held at CERES Community Environmental Park on the 5th of November 2017. The theme of the day was peace as it was an alternative to the annual Roots & Shoots Peace Day event. The day started off with a talk by Iranian Refugee, Moshtagh Heidari, who spoke about his experiences as a refugee in Australia. 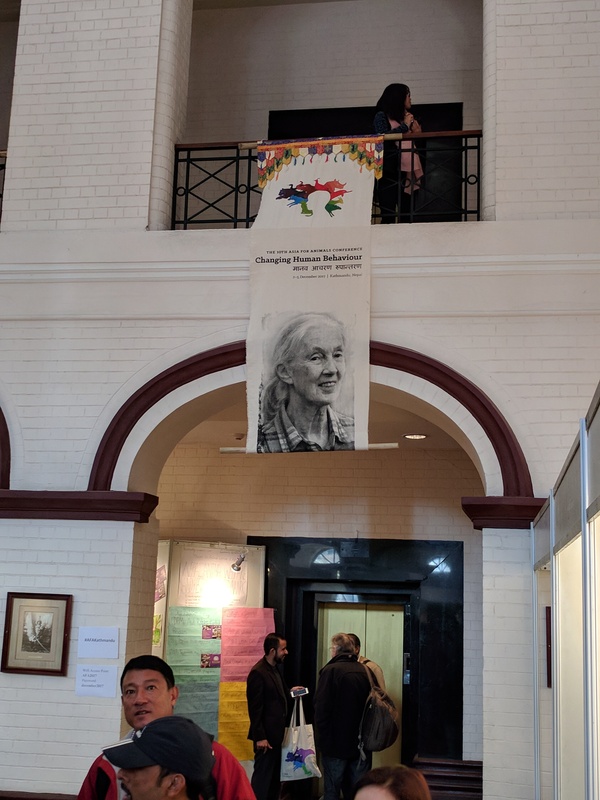 Roots & Shoots Victorian coordinator Asitha Samarawickrama spoke about the importance of peace and Dr Jane’s message for peace with our fellow humans as well as our environment. After a few icebreakers, the kids headed outside for a tour of CERES and a scavenger hunt around the CERES gardens. 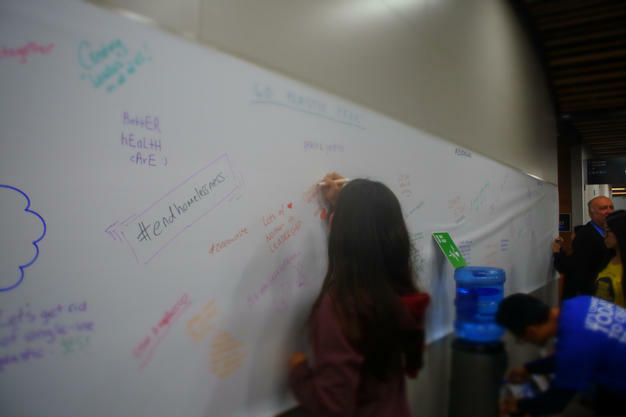 The day concluded with students tackling how to reduce plastic waste and ocean waste drawing a flowchart of how plastic when discarded ends up in our oceans and pledging to reduce waste for the No Waste November Global campaign. The day was a great success and we hope to visit some schools of the participants to start new Roots & Shoots projects in future. 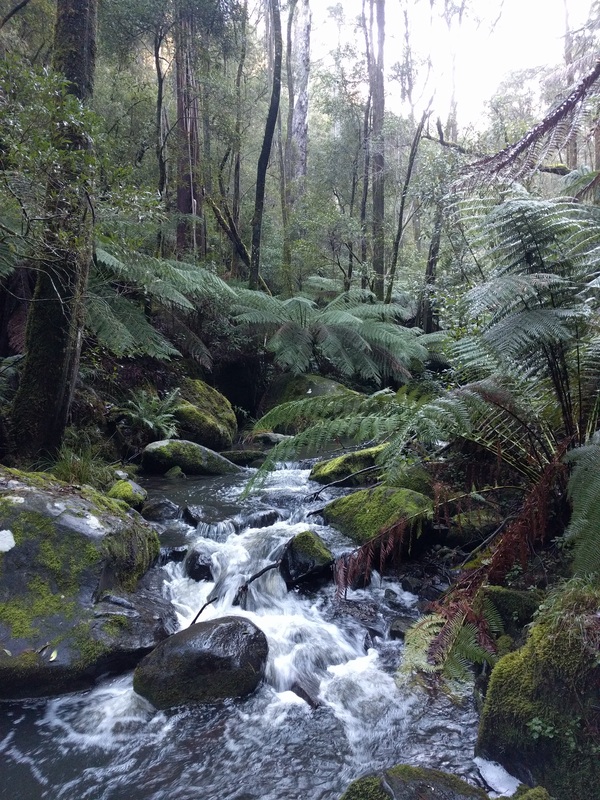 Our Victorian National Youth Leadership Council (NYLC) member Asitha is working in Cape Otway on the Great Ocean. This is a day in his life! Its 7am, I lift a hand to turn off my alarm. This is when I regret not sleeping earlier the previous night. Too late now, a big day lies ahead. 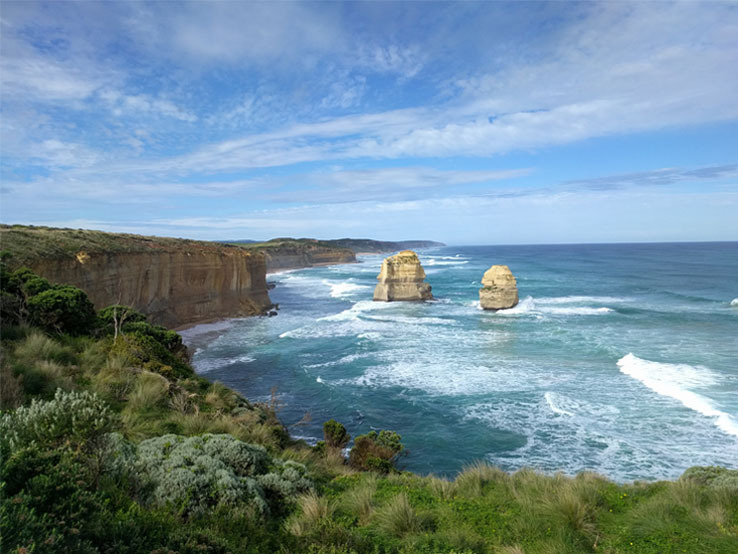 I am working as a conservationist at the Conservation Ecology Centre in Cape Otway on the beautiful Great Ocean Road, south-east Australia. It’s a beautiful office, with temperate rainforests, crystal clear streams and numerous waterfalls. 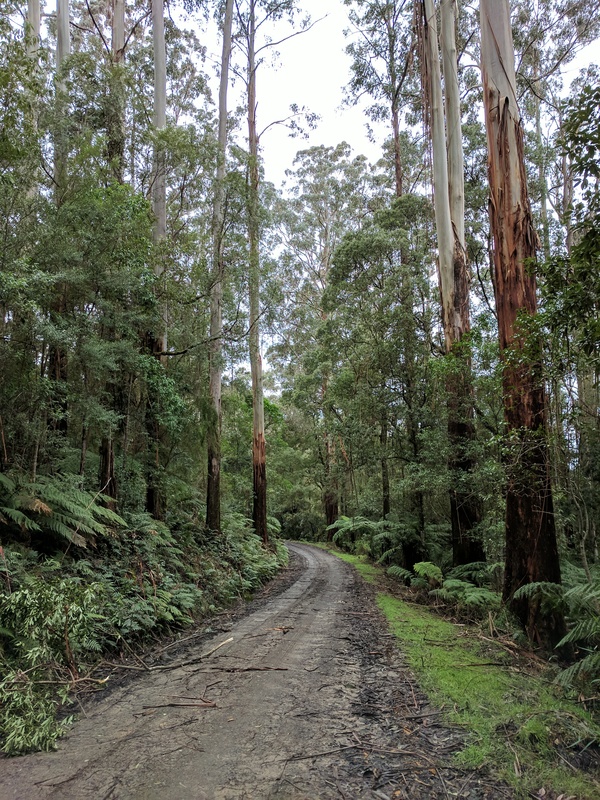 Today’s main task involves setting up camera traps in the Great Otway National Park to monitor for threatened species such as tiger quolls and long-nosed potoroos as well as feral species such as cats and foxes. Camera traps are remote sensing cameras that are triggered by motion. This means if an animal walks in front of the sensor is triggered and a photo is taken. These cameras are our eyes in the forest, they allow conservationists and researchers to be in the forest every minute of the day. Over the next few days we will set up 50 of these cameras in the Otways. GPS is my best friend in the field! Rainjacket, check. Waterproof pants, check. GPS, check. Emergency satellite beacon, check. First aid kit, check. Cameras and equipment check. We are ready to go. It is important to be prepared for long and tiring days when out in the field. The terrain can be rough and the weather erratic. It’s certainly not a job for unenthusiastic people! But the rewards far outweigh the negatives. The landscapes I get to work in are stunning and the views breathtaking. There’s abundant wildlife to be seen and you are helping to protect it! Also, I would much rather be out in the field rather than be in the office doing statistics on Microsoft Excel! When we reach our first site we pack our backpacks with the gear needed to set up the first camera. Camera, bait, lock and key to ensure the security of the camera. 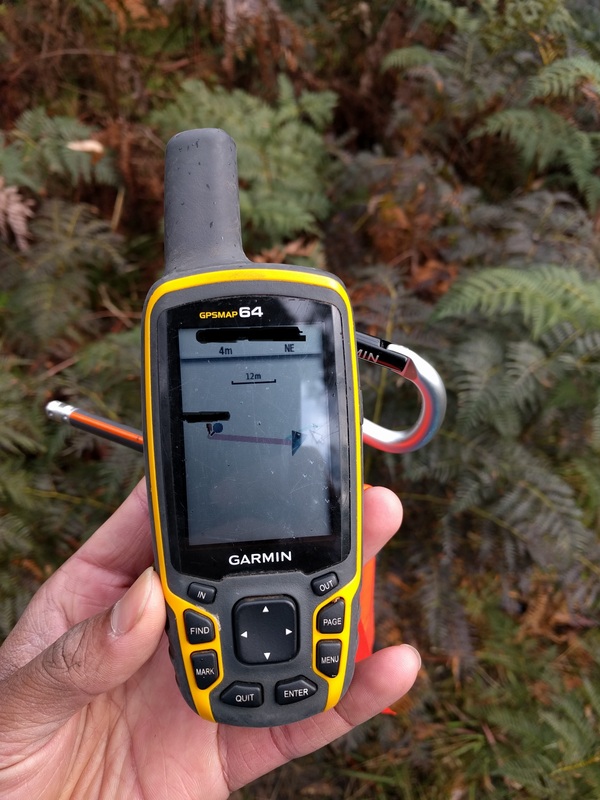 We use the GPS to navigate to the setup location. If we are lucky, the trek from the car to the loation is a straightforward one through the temperate rainforest. If we are unlucky, the bush can be thick with fallen trunks and branches everywhere. Obtaining a sure footing on rotting branches can be tough, and there have been many times we have slipped straight through the trunk of a rotting tree. Sometimes we would lose balance and fall on our backs. One time I remember grabbing onto a trunk to haul myself up part of the track. But it was a dead trunk with no roots and the soil and it came crashing down towards us! Luckily my colleague and I had time to step out of the way! The terrain can be so steep that in certain areas we can’t climb down. On such occasions, we just sit down and slide to the bottom! Once we reach the site we need to clear the area of grass and twigs to ensure the camera isn’t triggered by them moving in the wind. We set up the bait station and point the camera towards it. Then the camera is locked into place against a tree and switched on. A test to ensure the camera is working and then we trek back up to the car, drive to the next location and repeat the process. If we are efficient we can setup 20 cameras per day, which means it takes us three days to setup the total of 50 cameras. When we get back to the Conservation Ecology Centre we need to feed our captive potoroos, sugar gliders and quolls. We chop up some bananas, apples and oranges and fill up four bowls. Add in some muesli and protein supplement and that takes care of the potoroos and gliders. 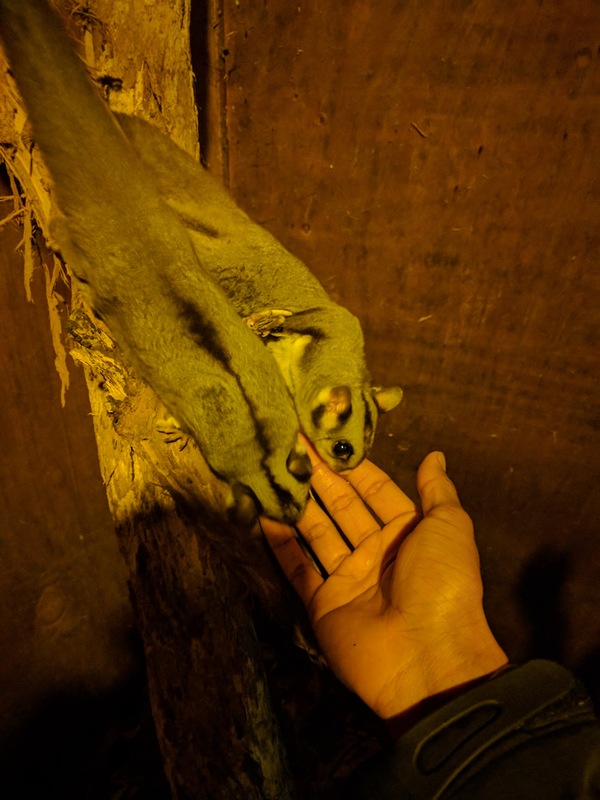 Occasionally we would go into the glider enclosure at night with our fingers dipped in honey. The greedy gliders come down and lick the honey straight off our fingers! My weekends are spent exploring the Great Ocean Road! The centre has two quolls in captivity; one tiger quoll, the largest carnivorous marsupial on the mainland. It is extremely rare, once thought to be extinct in the Otways. The eastern quoll is extinct on the mainland, the effects of introduced ferals such as cats and foxes taking it toll on the species. The eastern quoll still hangs on in Tasmania, where the presence if Tasmanian devils helps control predation by ferals. It is estimated that a feral cat can kill upto six native animals per night. Given that there are around 2 million cats across Australia, spread around 99.8% of its landmass, it is not a wonder that nearly 30 Australian mammals have gone extinct since European settlement. The larger tiger quoll is asleep under a log. It will wake up to a tasty treat of three chicken legs. The eastern quoll needs just one chicken leg. It too is resting in its den. At last a tiring day has come to an end. I am looking forward to a warm shower and a good dinner. Although the work is tiring there is no better feeling knowing that your work is helping to save some incredibly rare and endangered animals. It’s one of the biggest reasons that gets me out of bed every day. I suppose we are working towards a day we wouldn’t need to do this, when all animals are protected and there are no cats and foxes to worry about. But until that day arrives I will keep doing what I do, even if it takes me my whole life to get there. 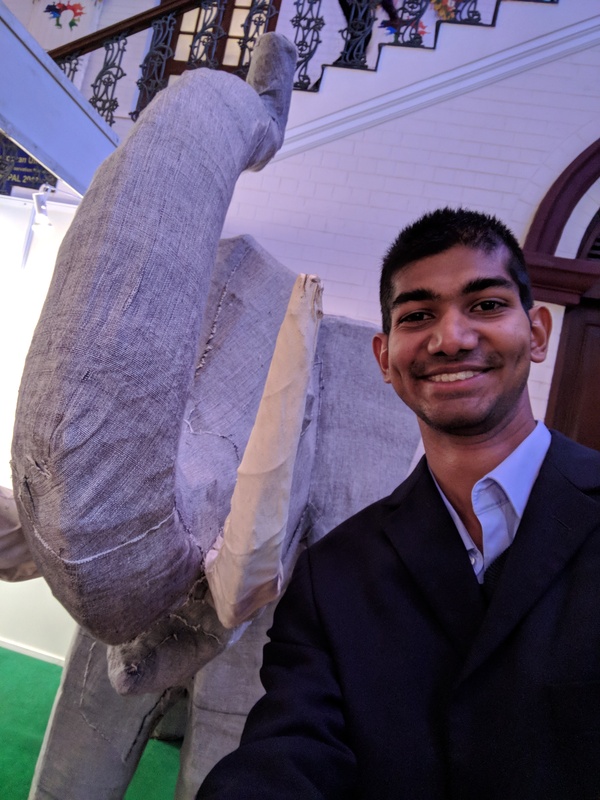 Asitha Samarawickrama is an environmental scientist and a member of the Jane Goodall Institute Australia’s National Youth Leadership Council. He has interests in wildlife conservation, illegal wildlife trade, palm oil, climate change and marine pollution. You can follow his work here on Twitter and Instagram. All photos in this story were taken by the author and are his property. 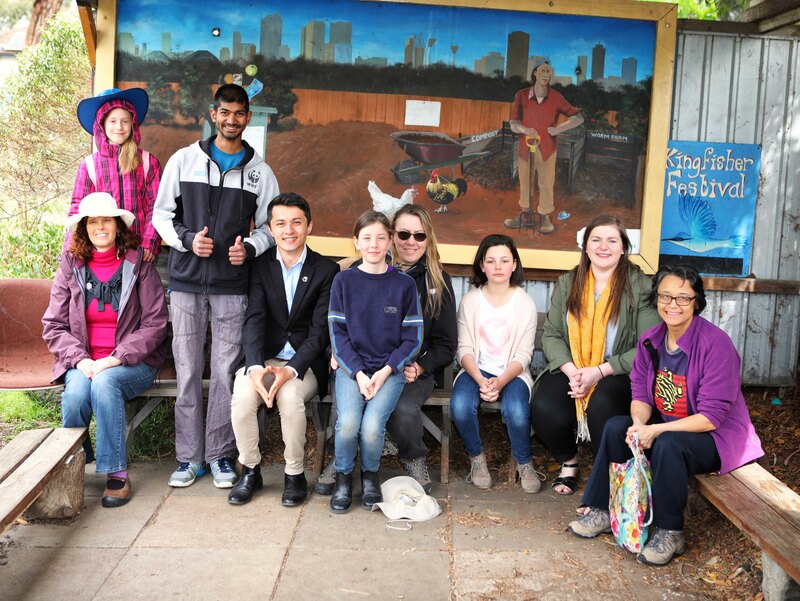 National Youth Leadership Council (NYLC) members Erin and Asitha visited Penleigh & Essendon Grammar School on Monday the 6th of March to talk to the Conservation Club about the Jane Goodall Institute Australia’s Mobile Phone Recycling Campaign. The students from both the middle and senior school were passionate and enthusiastic about the project. A group was formed to develop posters, power point presentations, and a casual dress day to spread the word around the school about mobile phone recycling and its impact, and to collect as many phones as possible! The NYLC and Roots & Shoots will be keeping in contact with the Conservation Club to support their awesome work! 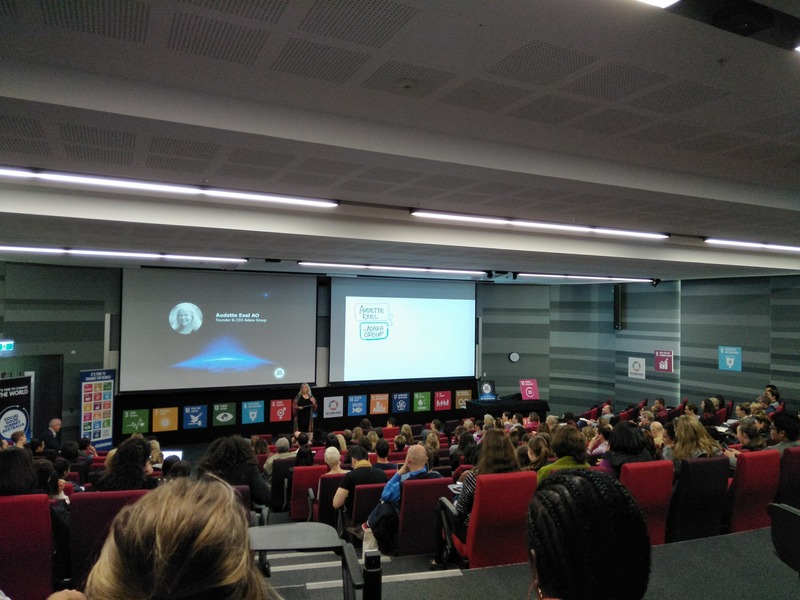 The Jane Goodall Institute Australia was invited to the Australian Premiere of H.O.P.E – What You Eat Matters, featuring Dr. Jane Goodall. 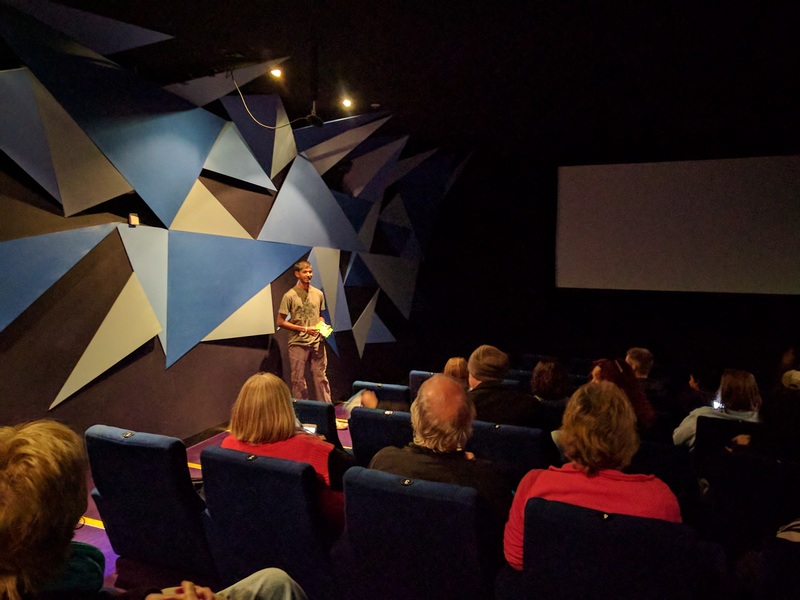 The screening was part of the Transitions Film Festival held in Melbourne and was attended by National Youth Leader Asitha. The documentary uncovers the effects of Western eating habits on human health. It contrasts the conflicting interests pharmaceutical and agricultural industries have with the interests of the planet’s human and non-human inhabitants and explores the power of responsible consumer action. 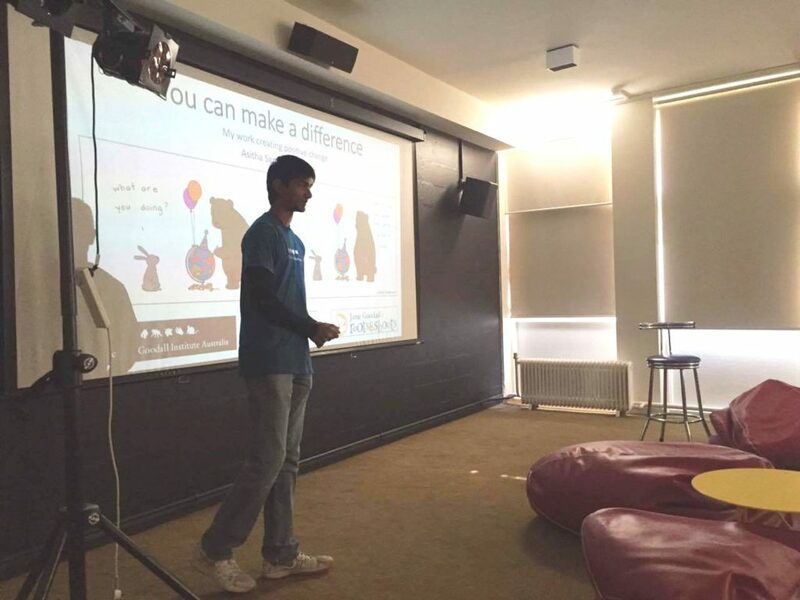 National Youth Leader Asitha recently delivered a presentation for university students at Whitley College, a residential college at the University of Melbourne. 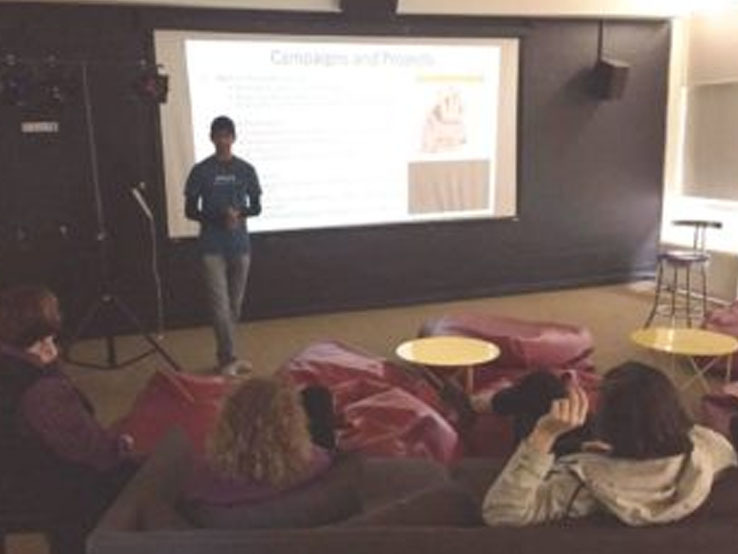 Asitha was a former resident of the college and was invited by the Environmental Representative to present on his work at the Jane Goodall Institute. Attendees included the warden and sub-warden of the college. 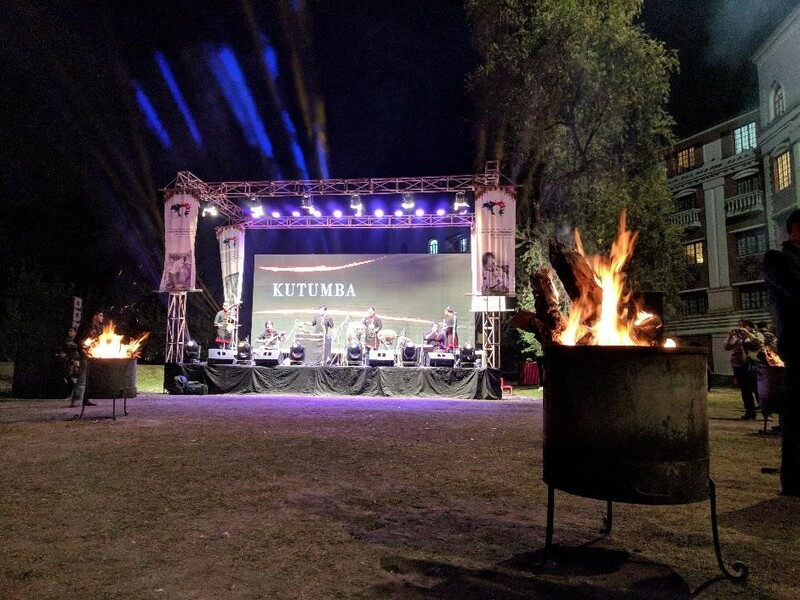 The presentation was followed by a fundraising barbecue.